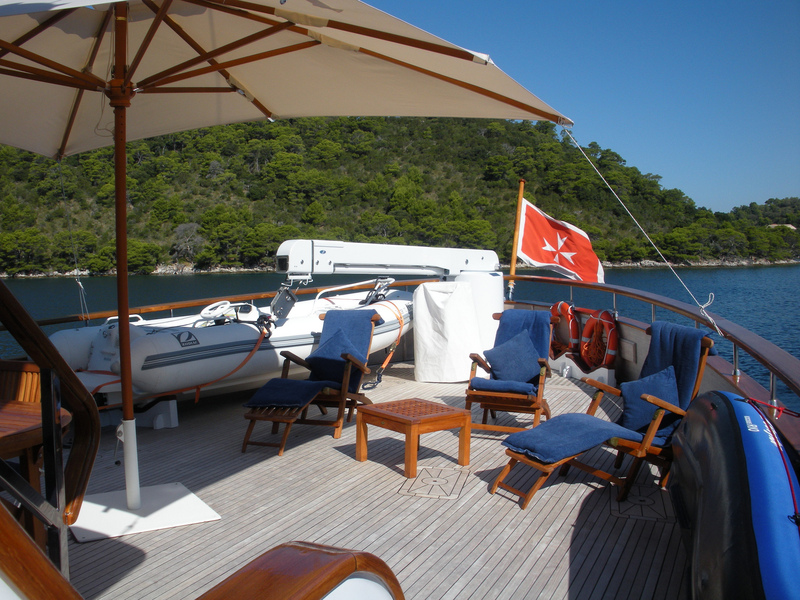 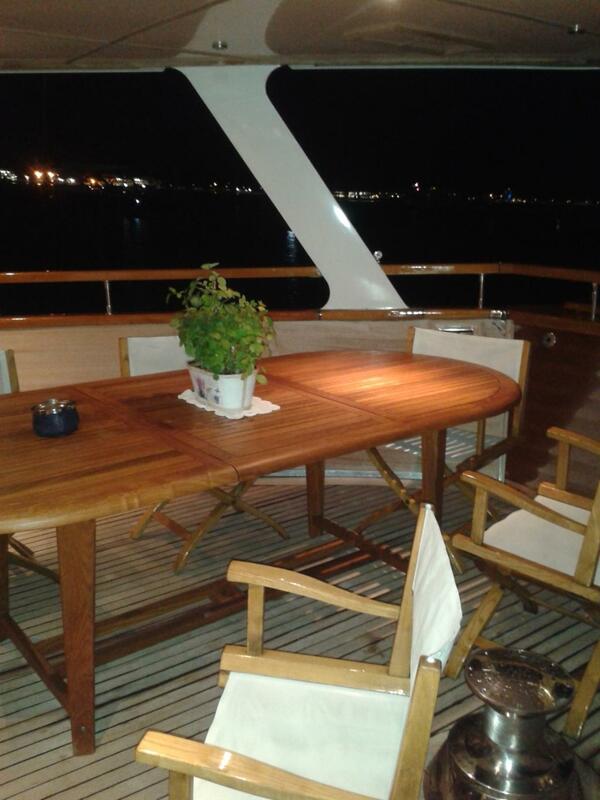 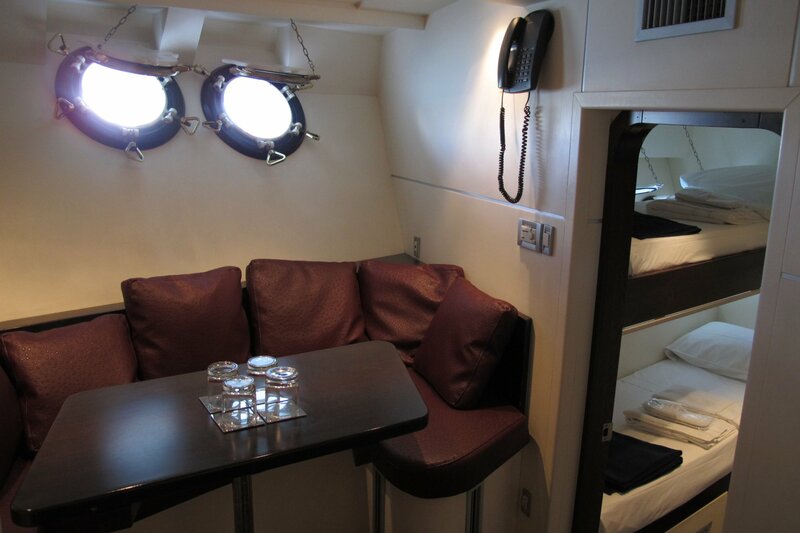 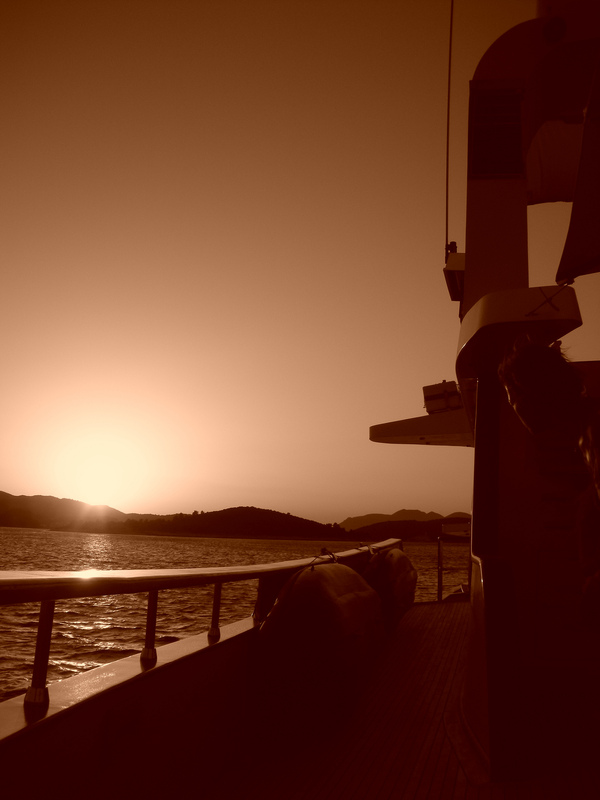 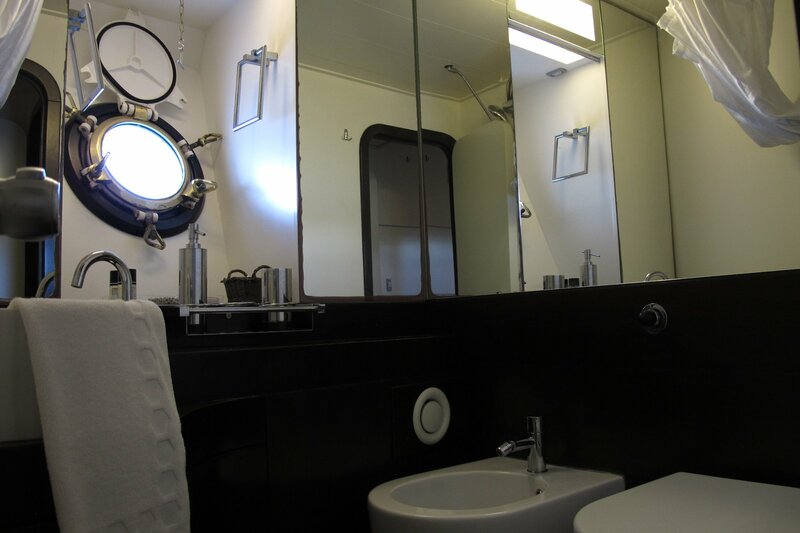 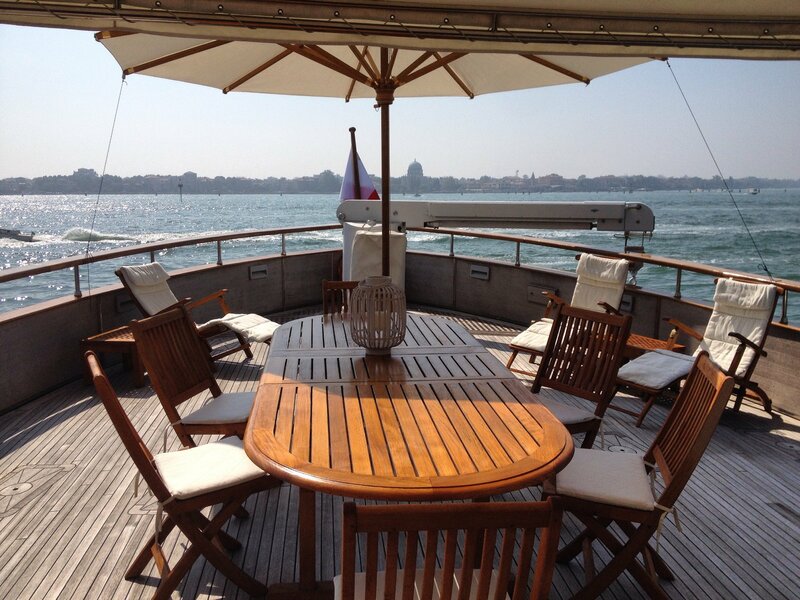 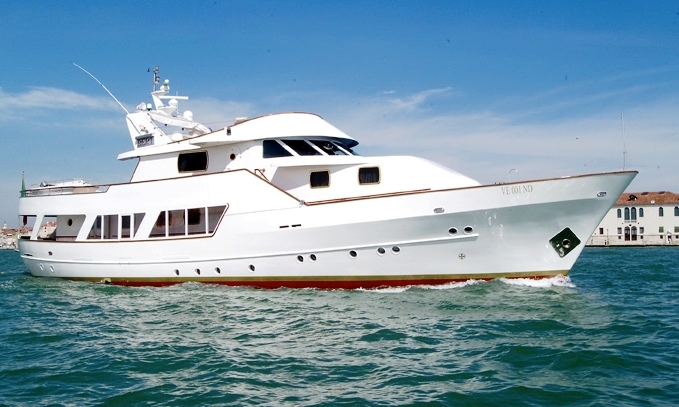 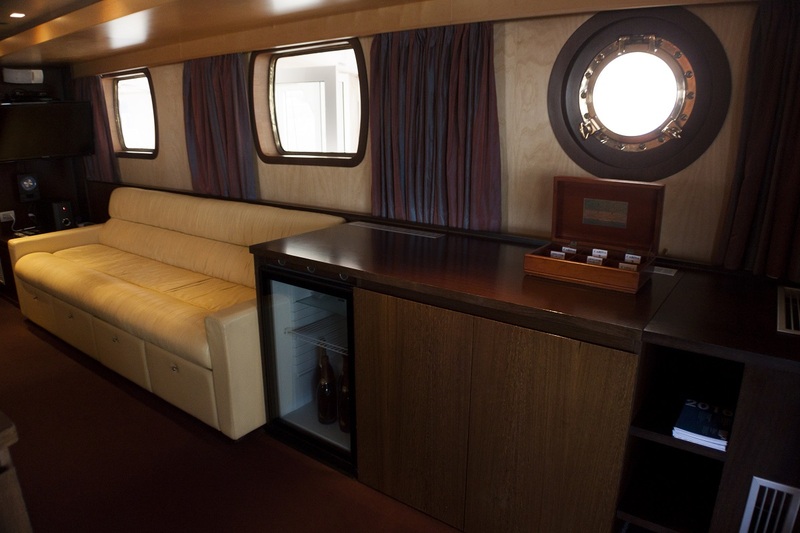 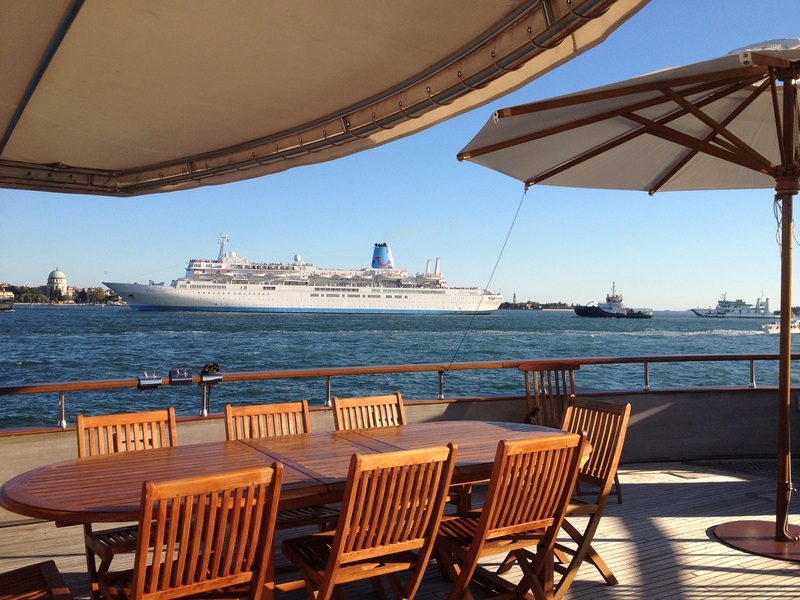 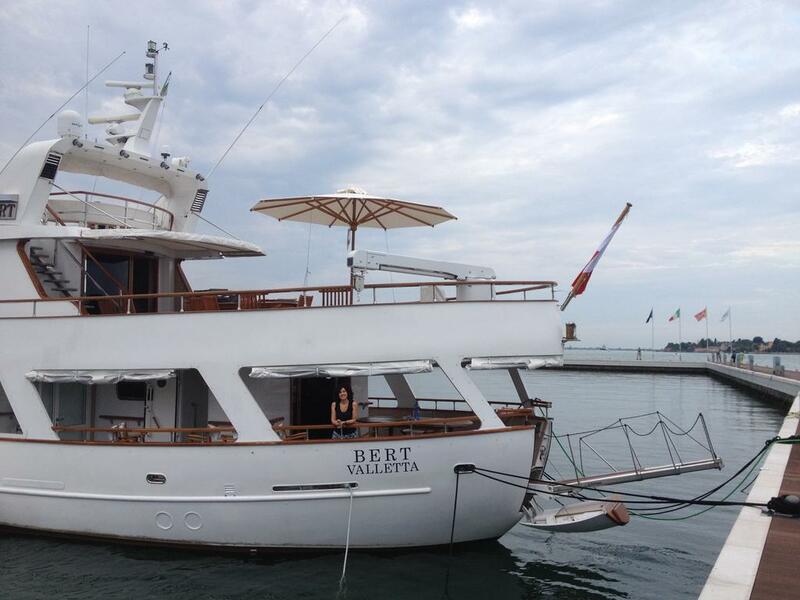 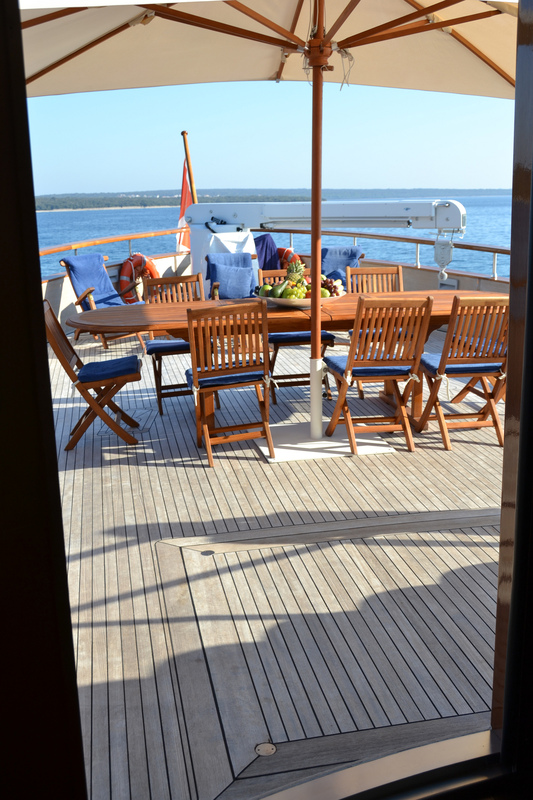 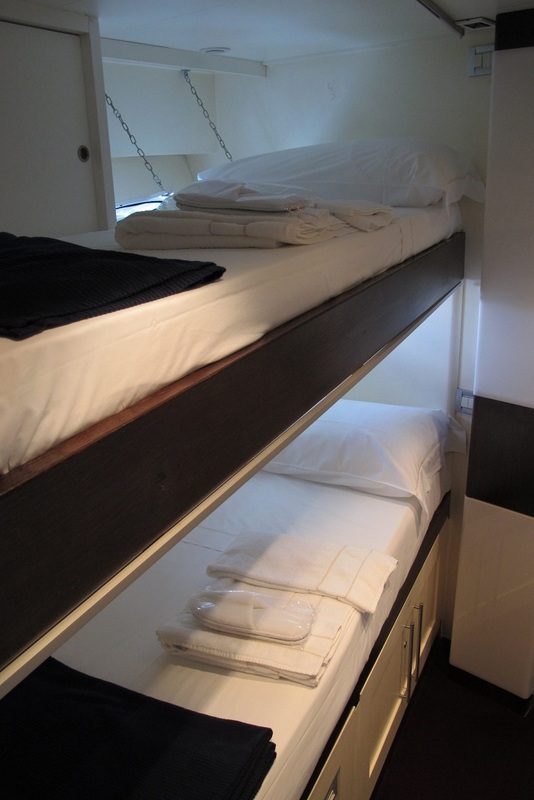 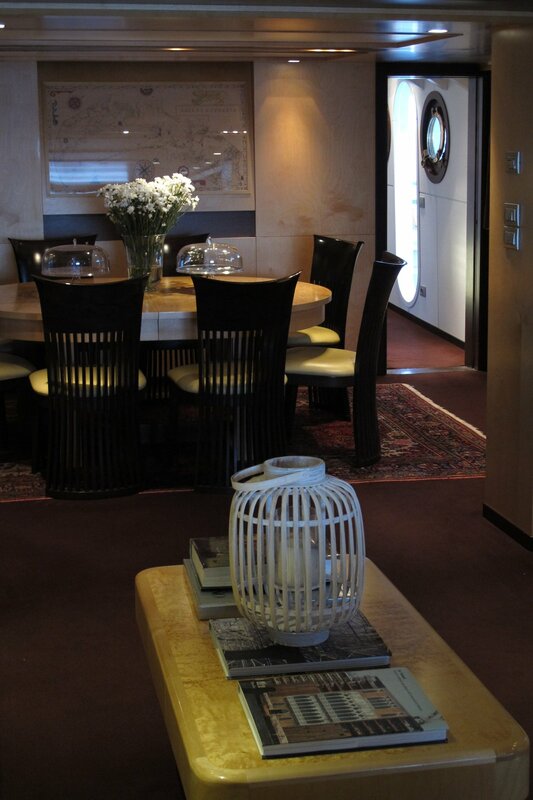 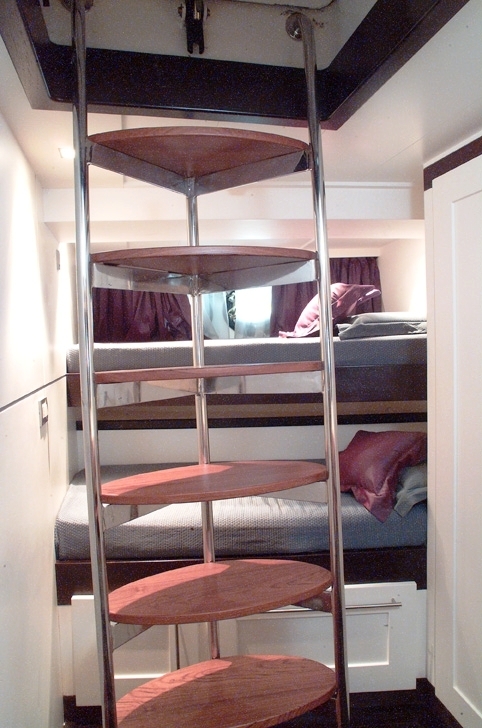 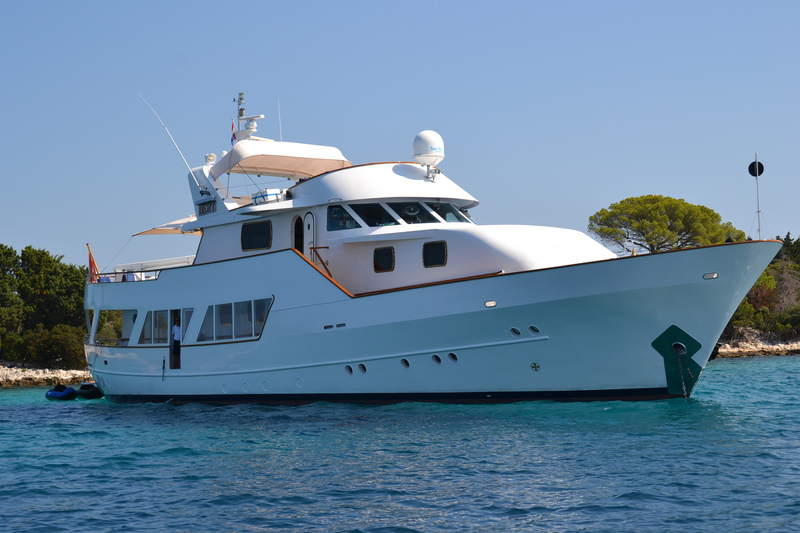 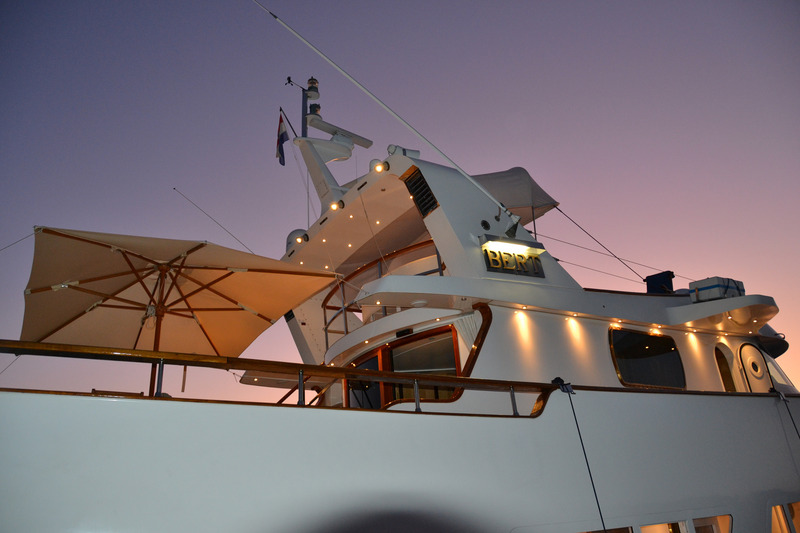 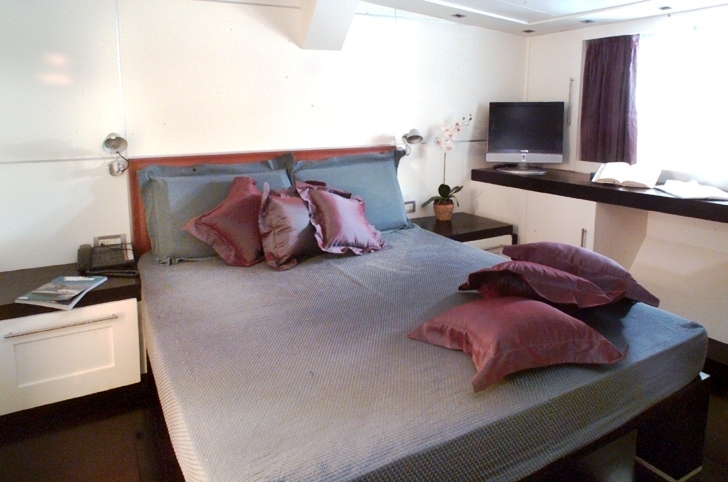 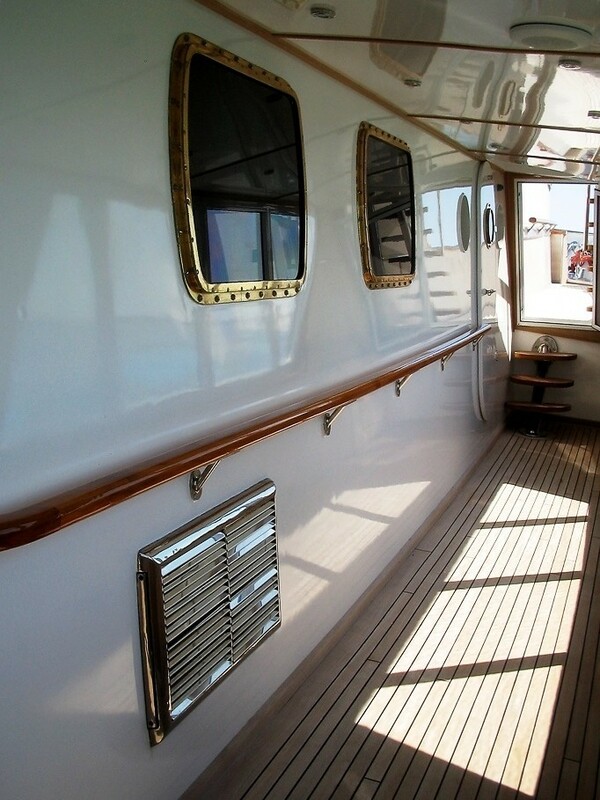 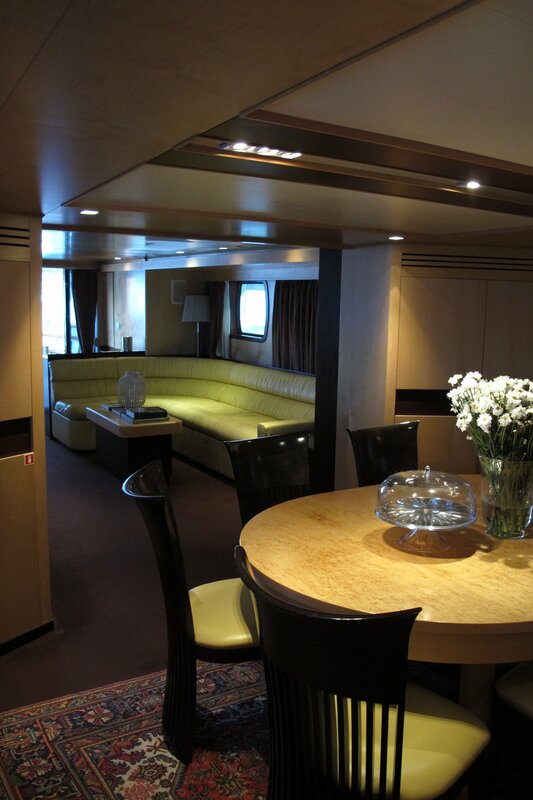 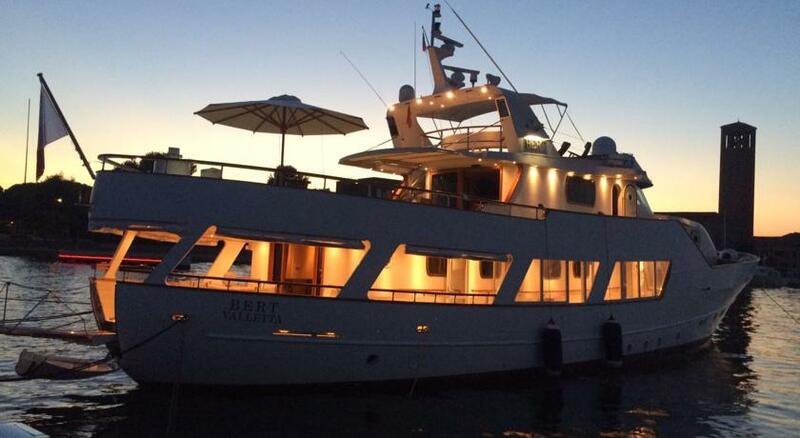 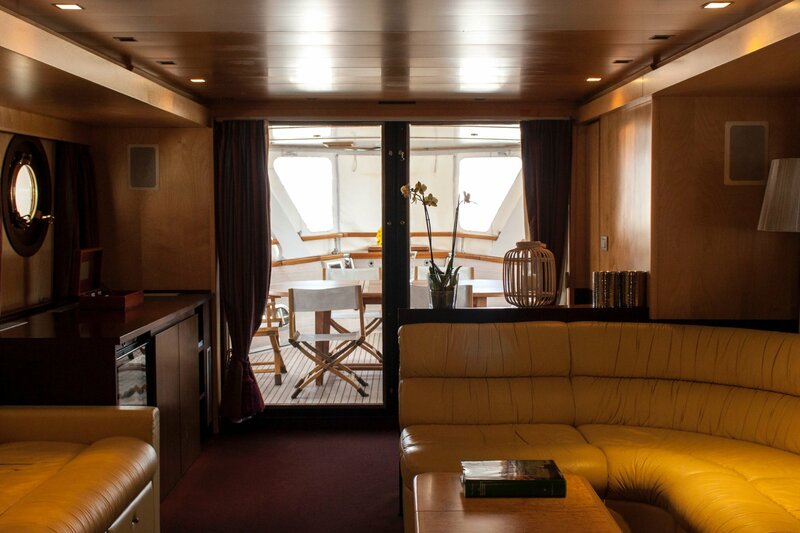 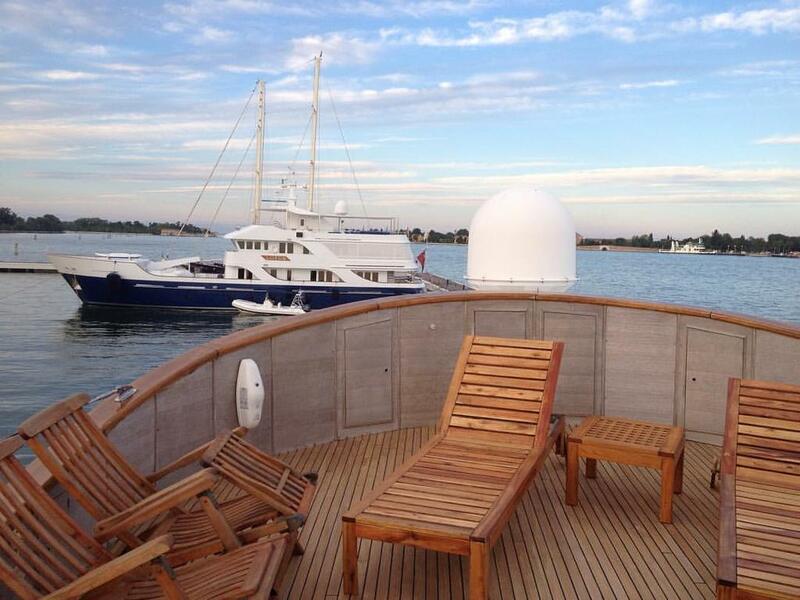 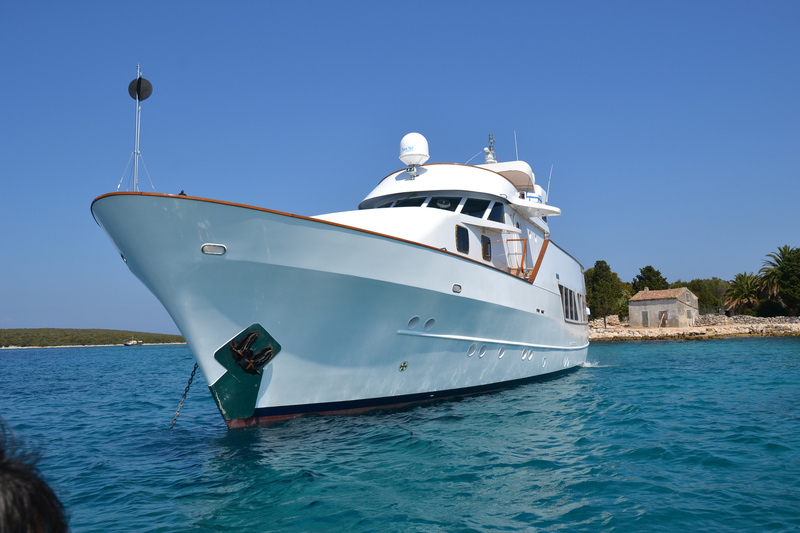 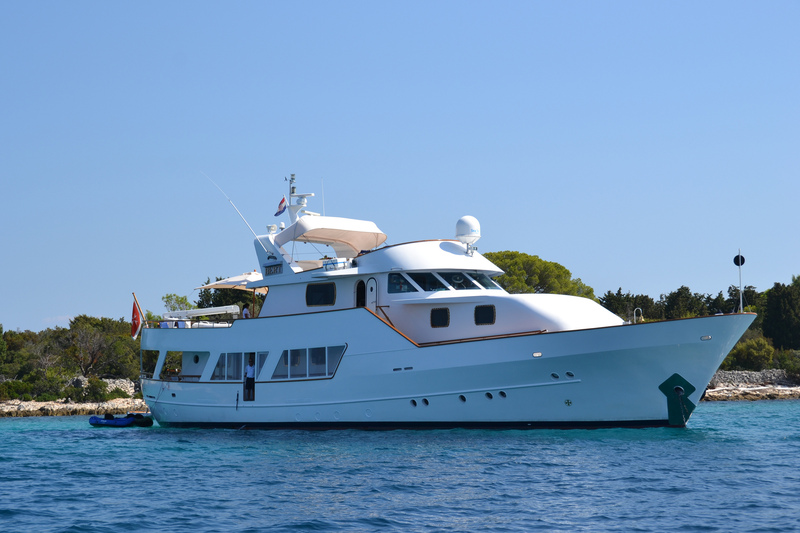 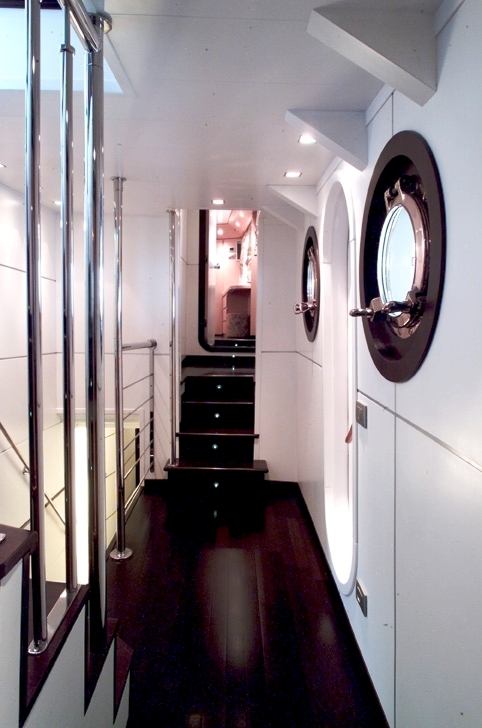 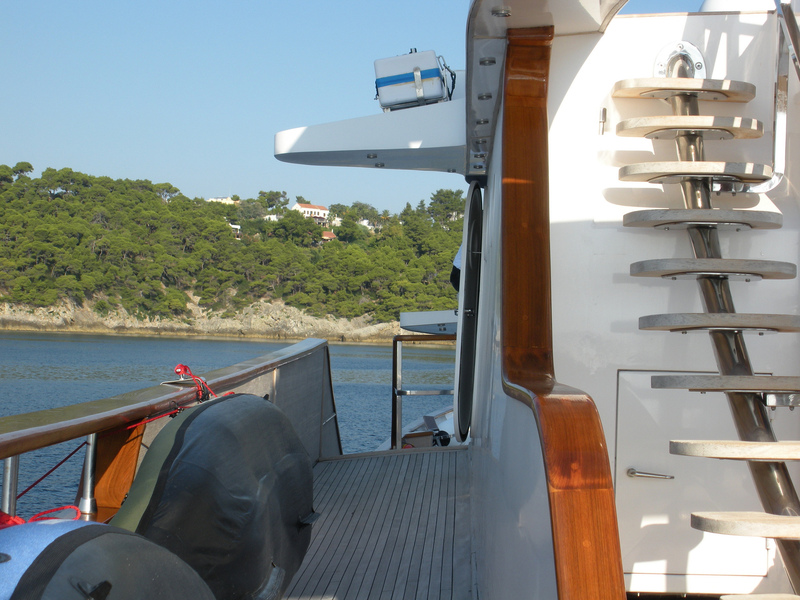 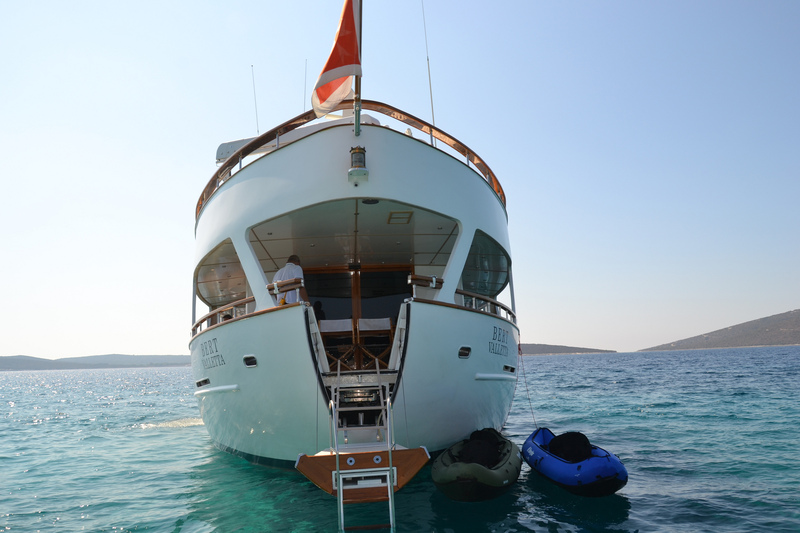 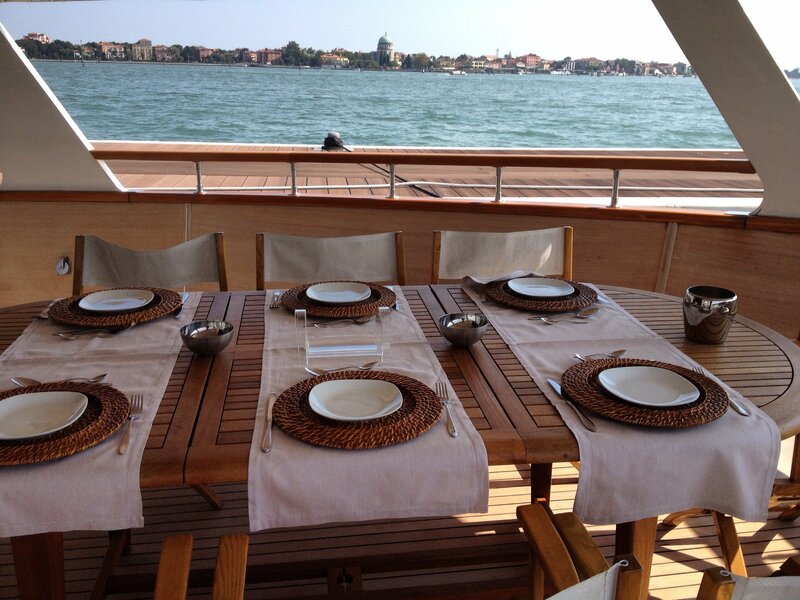 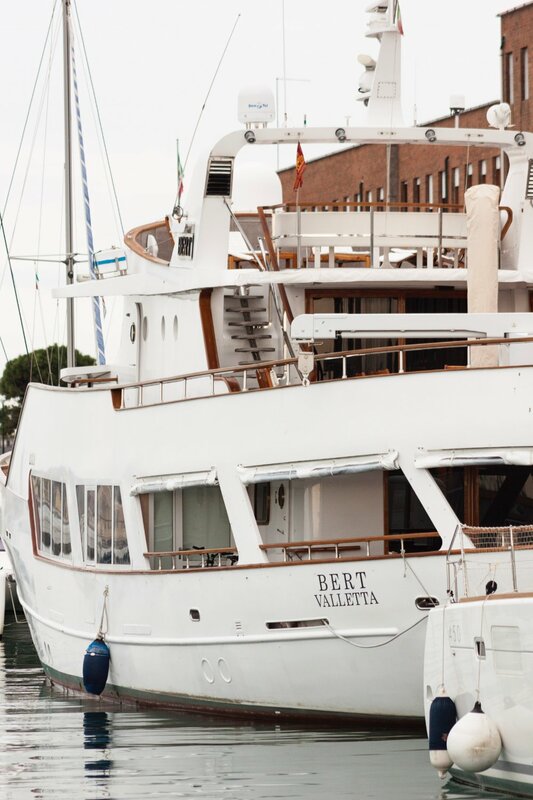 BERT was built in 1977, she measures 30m (98,43ft) and can accommodate 10 guests in 2 double and 3 twin cabins. 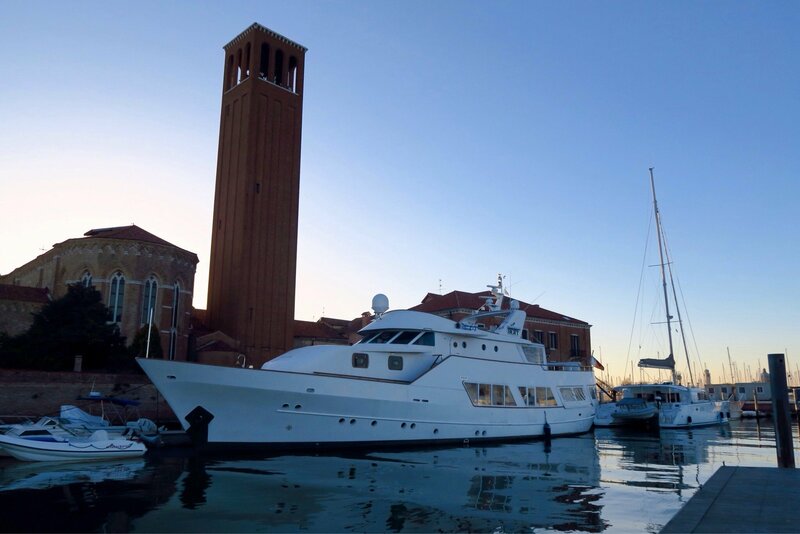 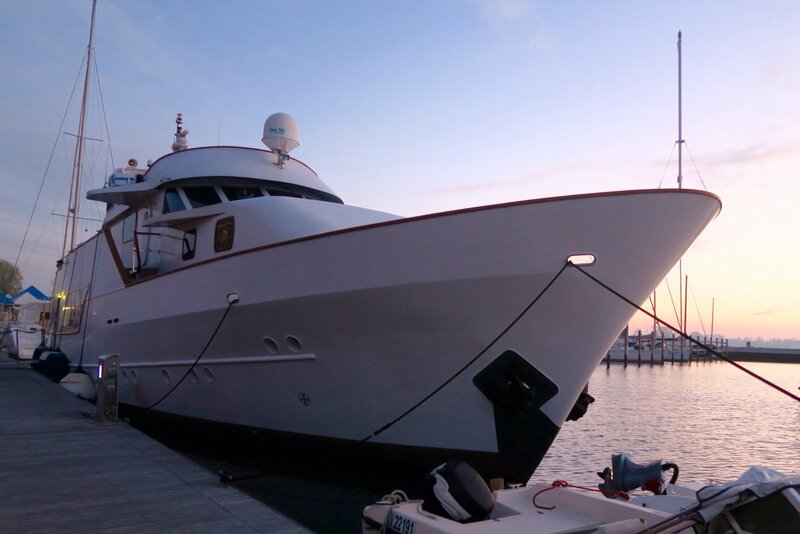 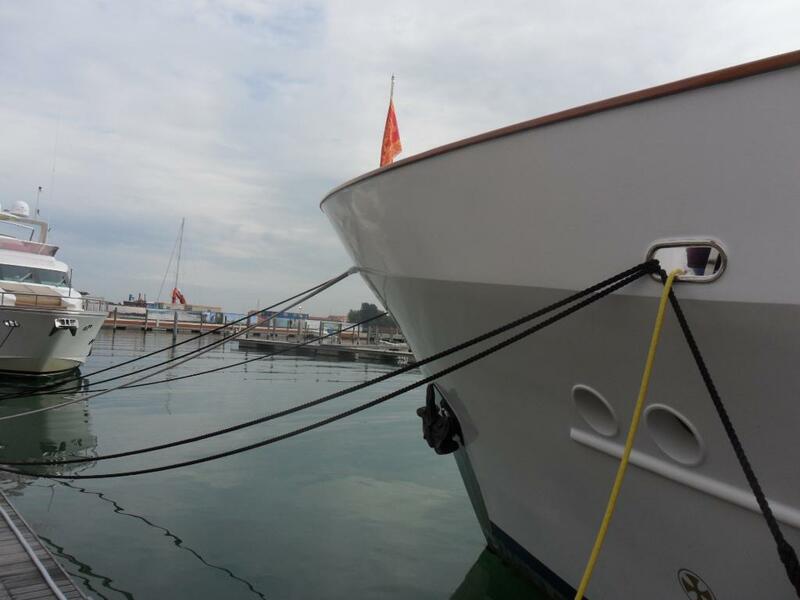 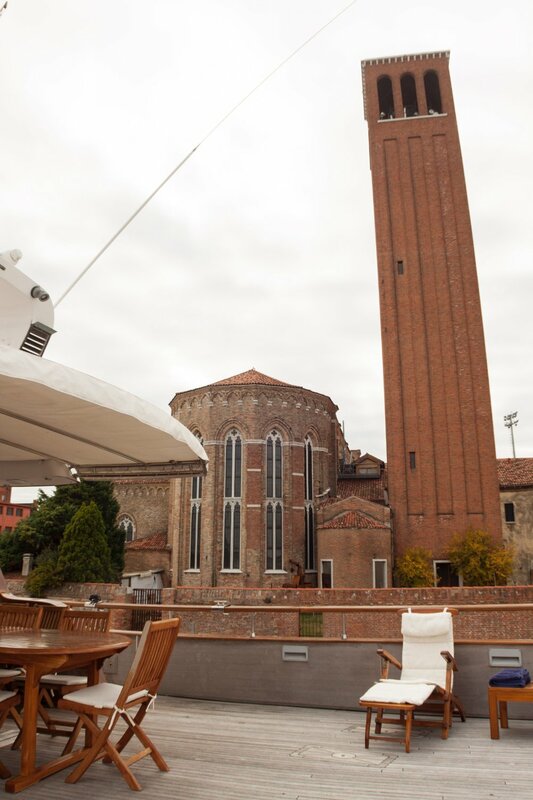 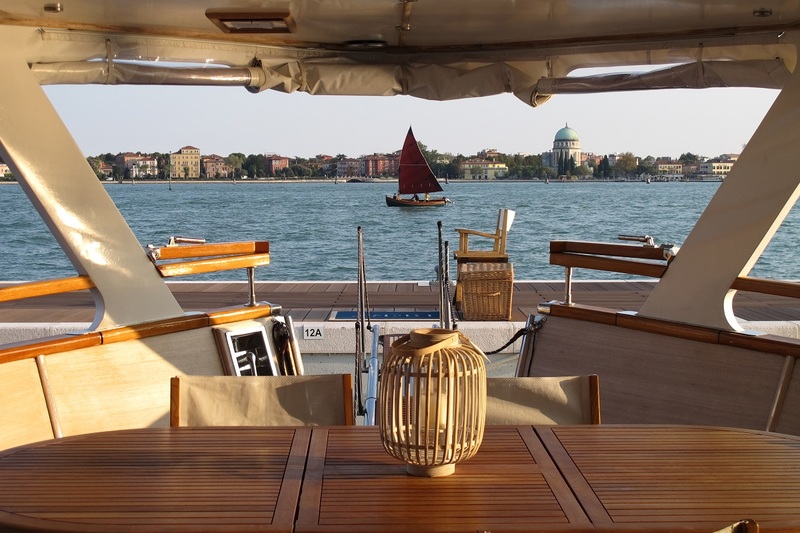 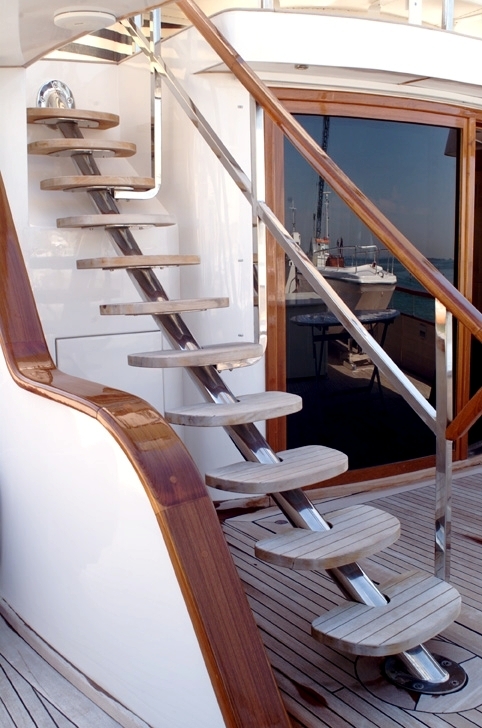 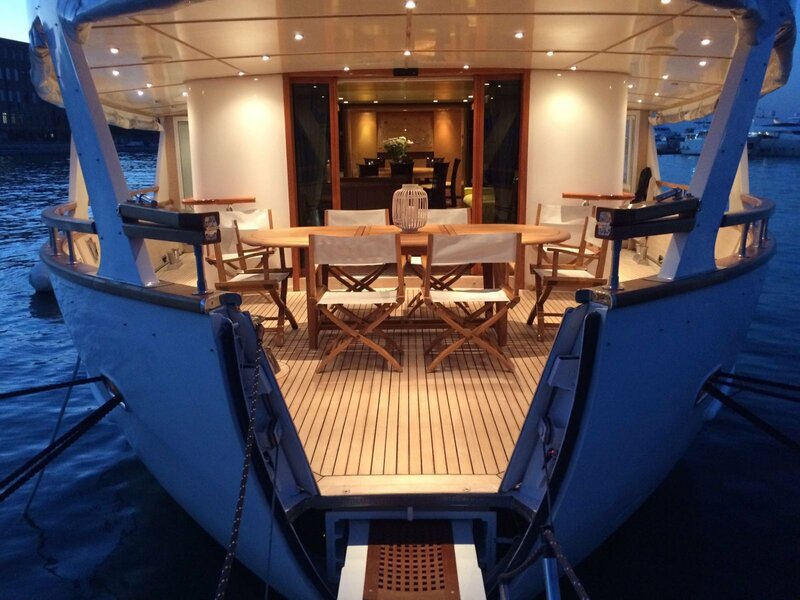 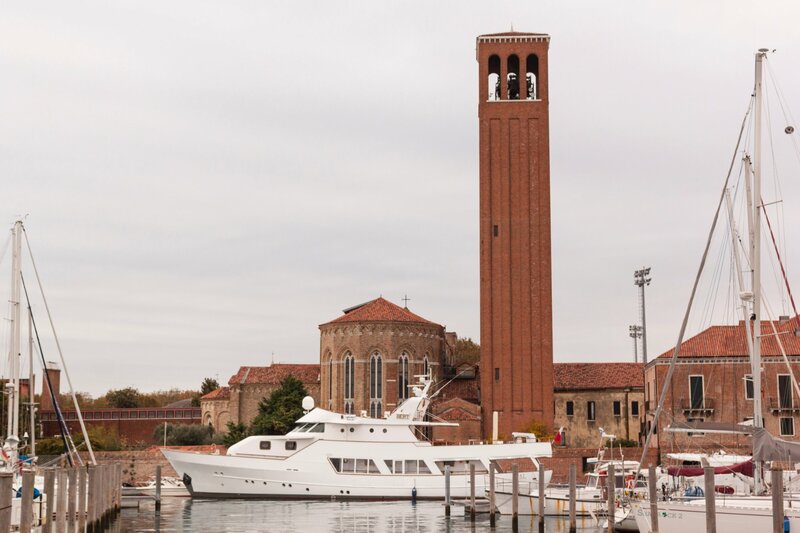 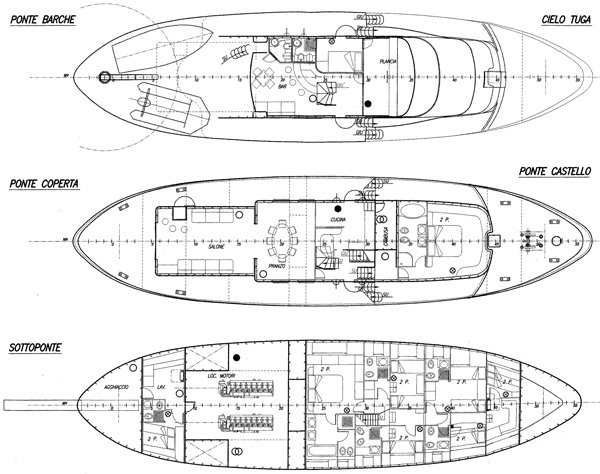 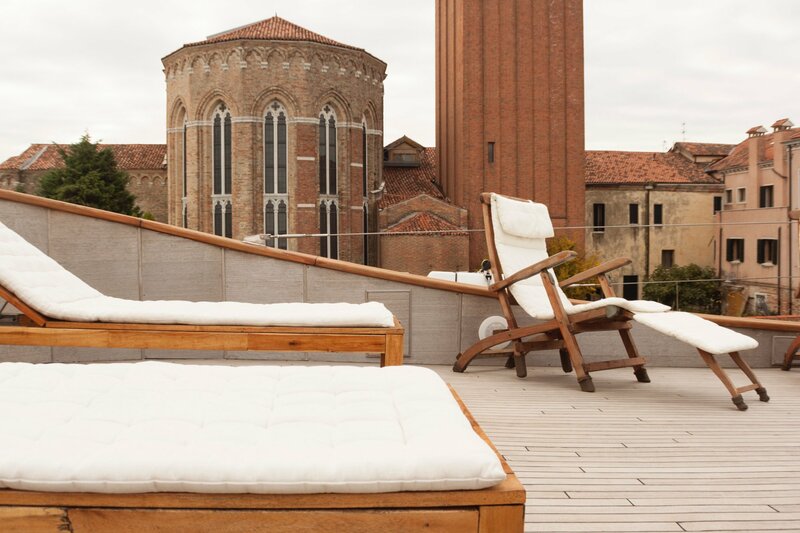 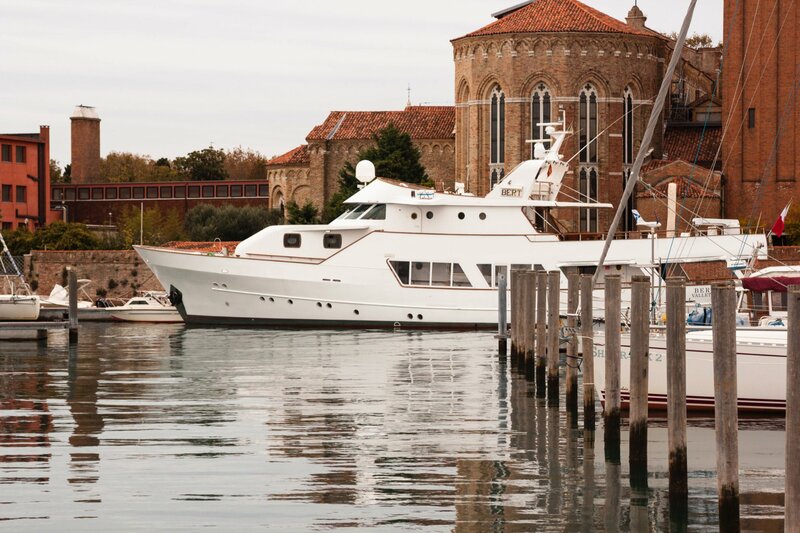 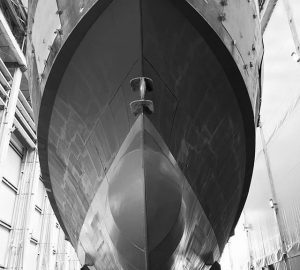 Designed by Anselmi Boretti who is also responsible for her entire engineering, she has since had a complete internal and external refit from 2002-2006 by Shipyard Gruppo Faldis in Venice (Italy). 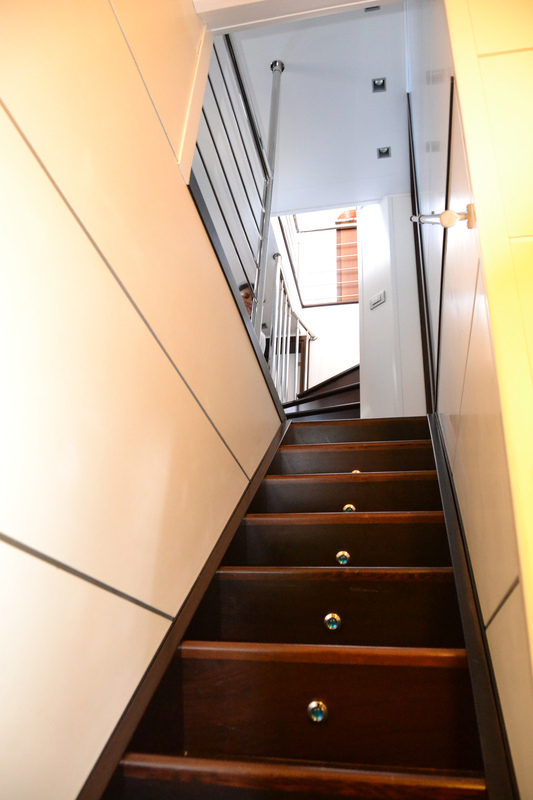 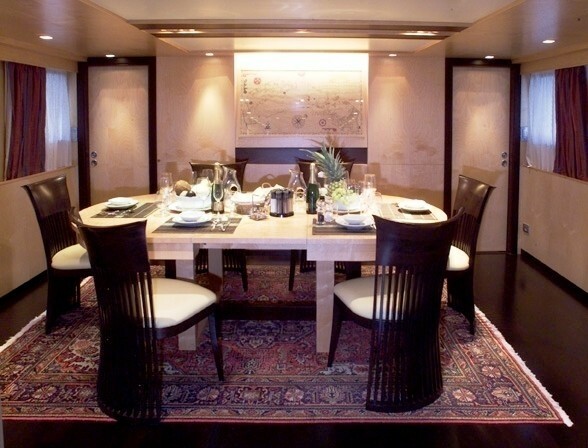 There is beautiful woodwork and neutral tones throughout, which are accentuated by stunning Turkish rugs. 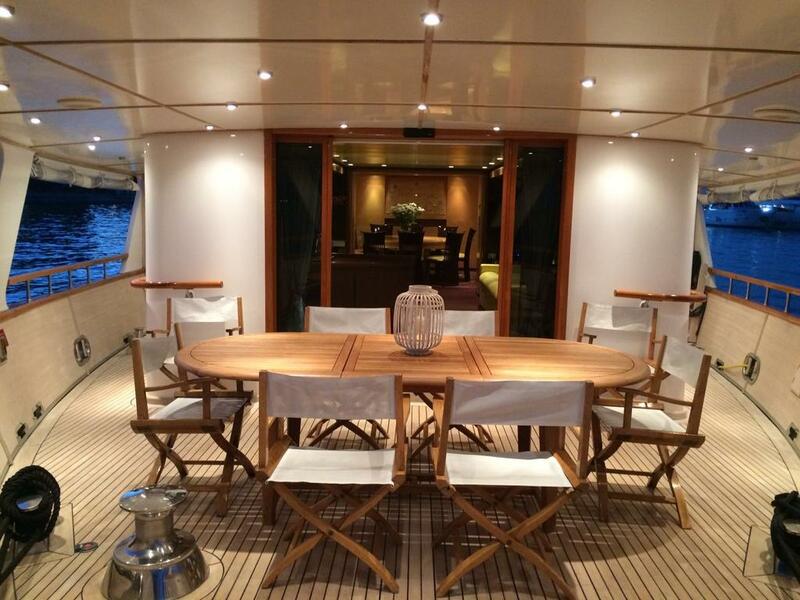 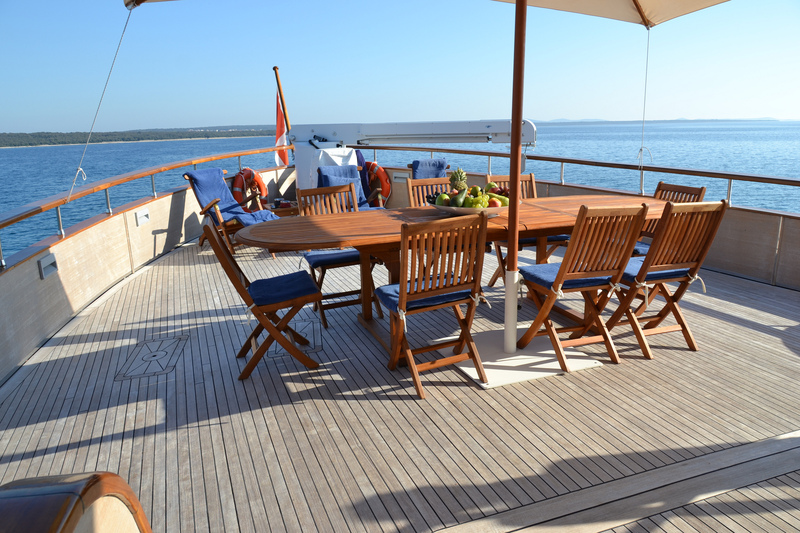 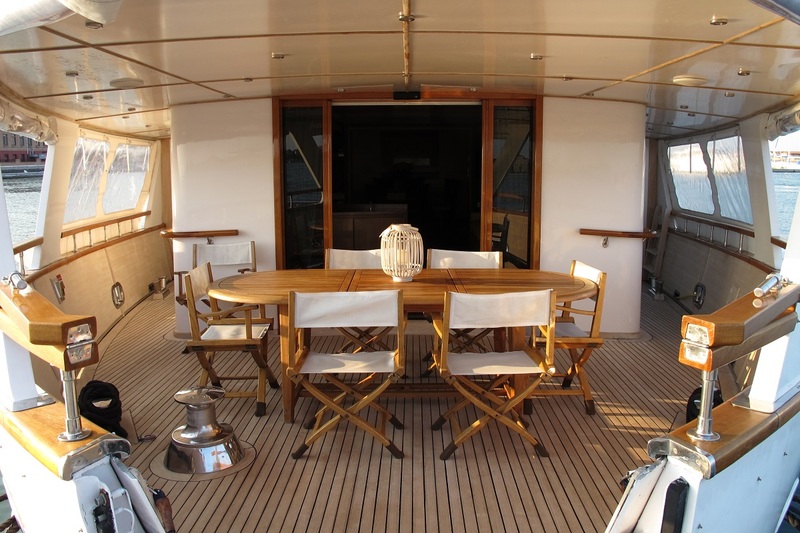 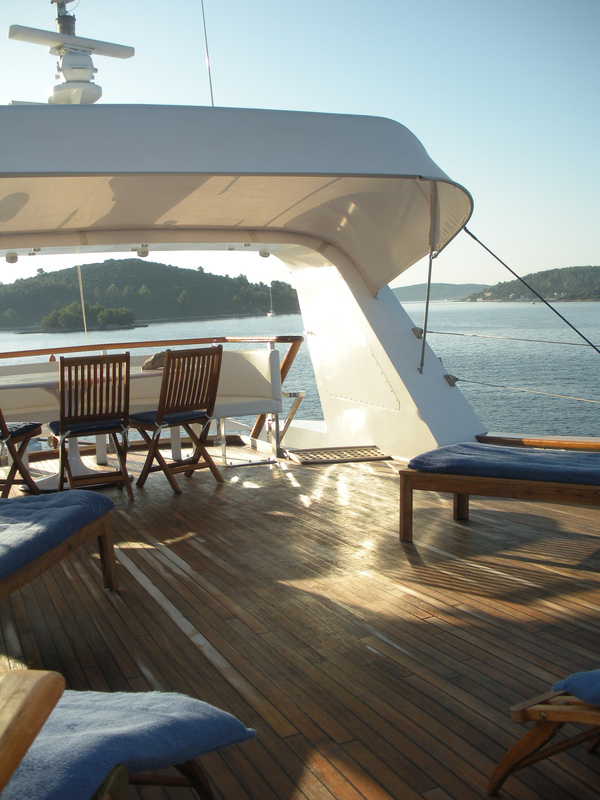 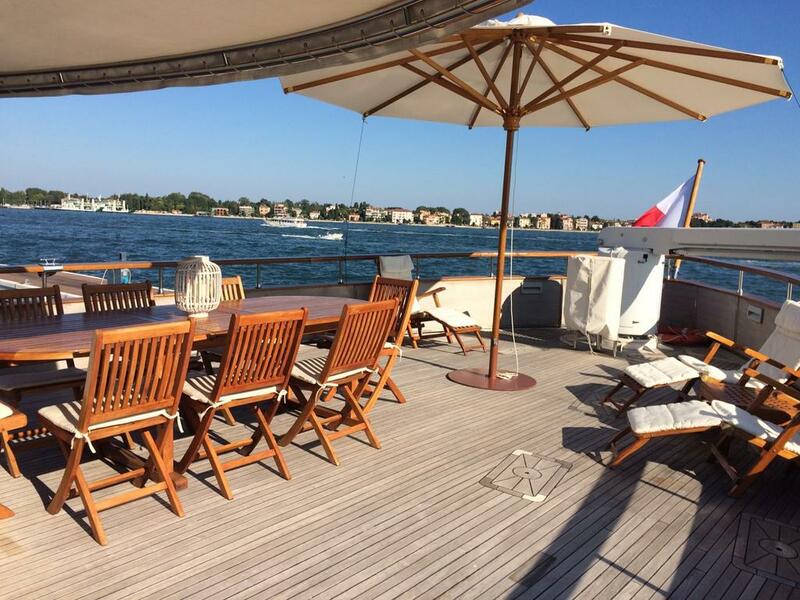 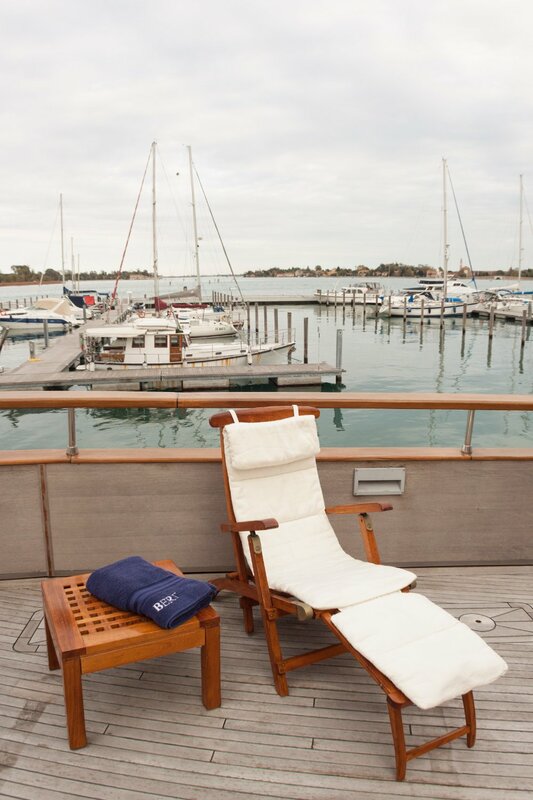 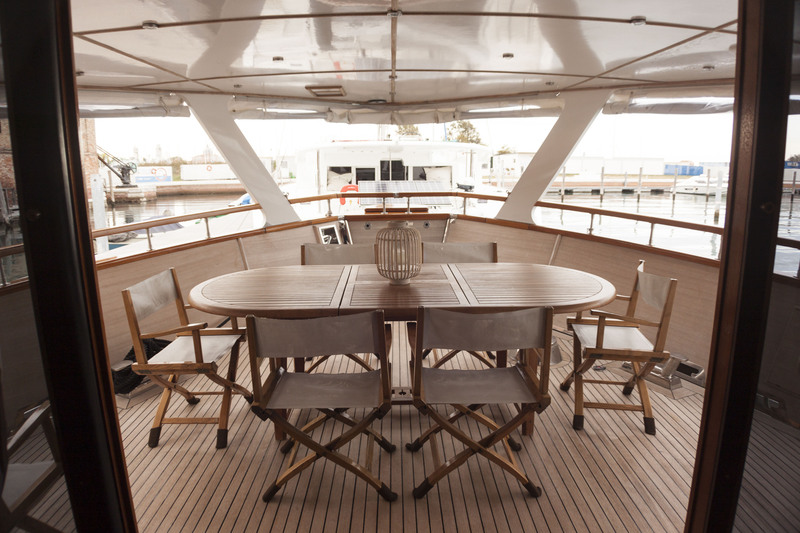 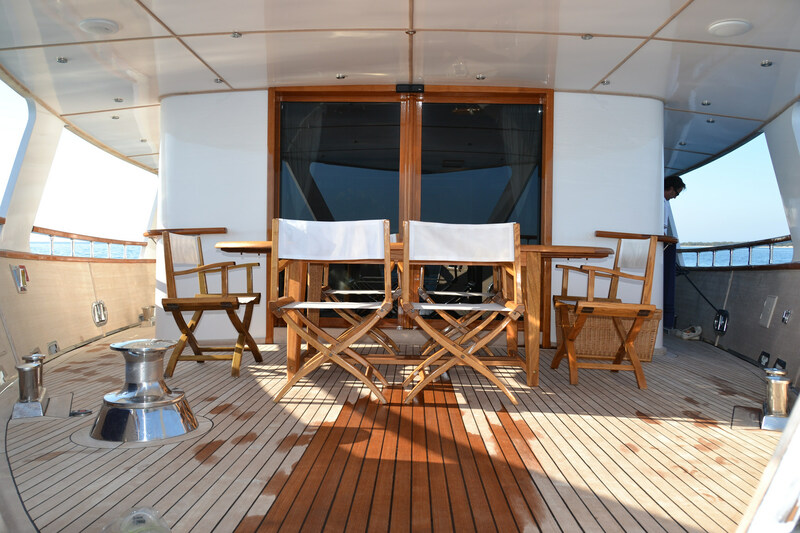 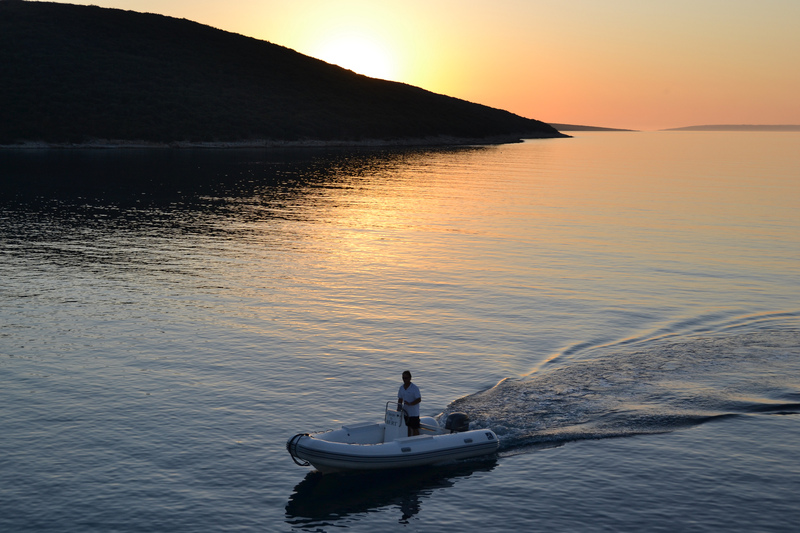 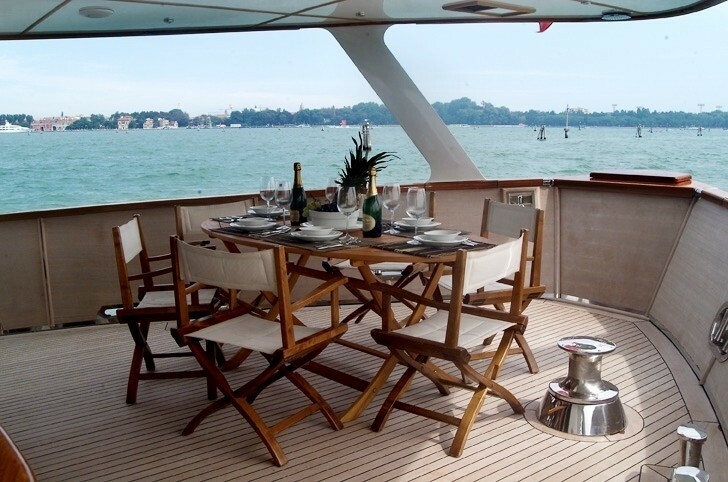 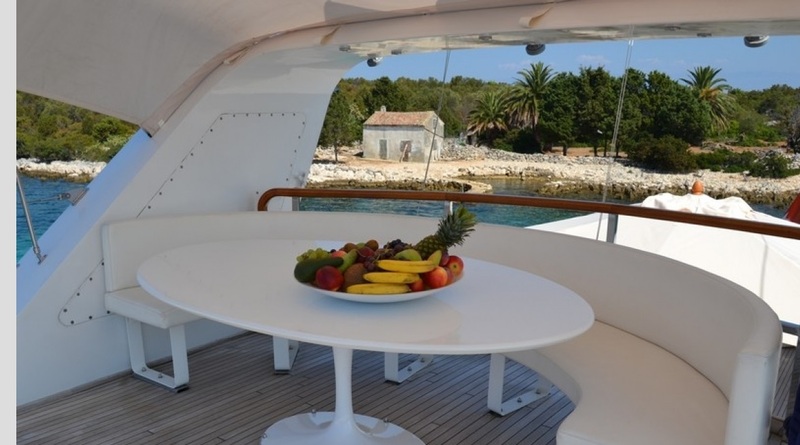 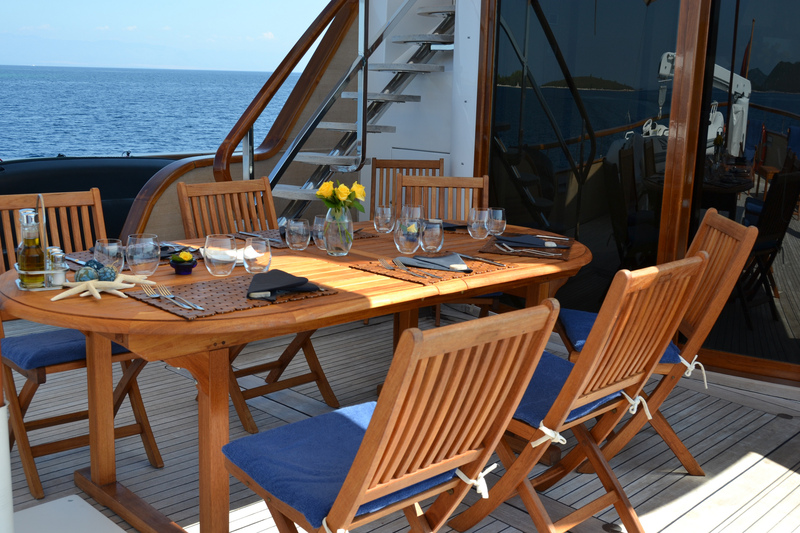 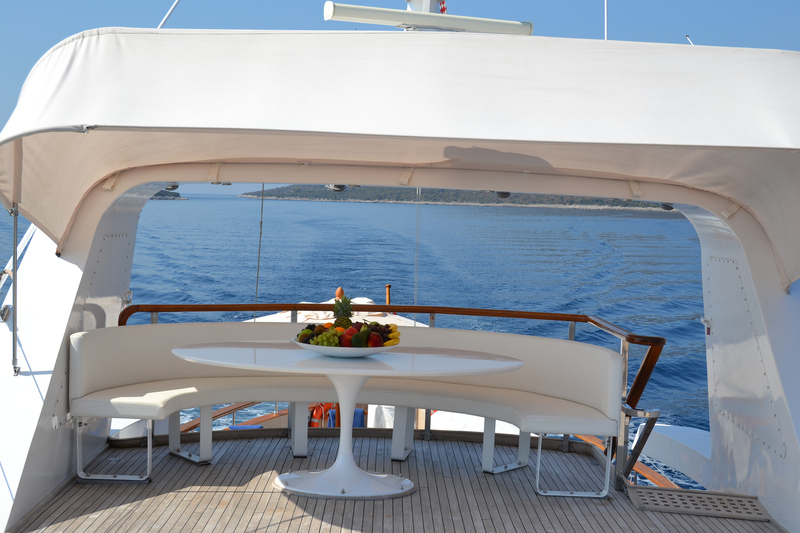 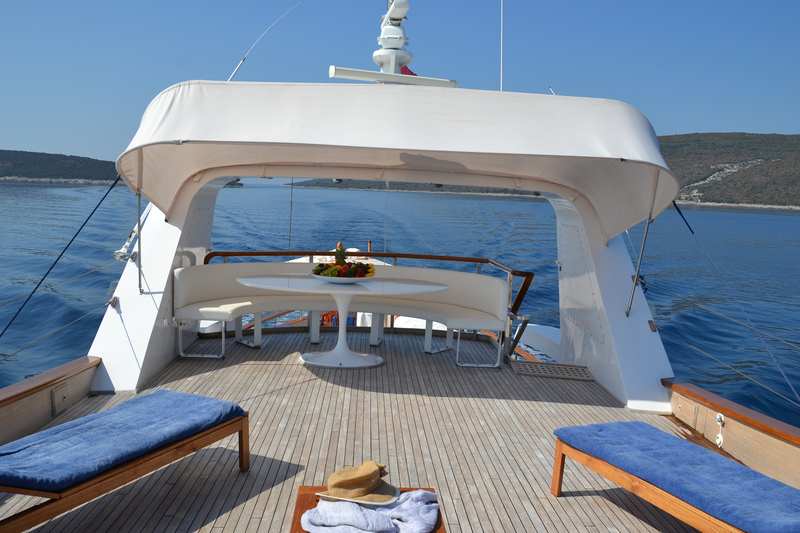 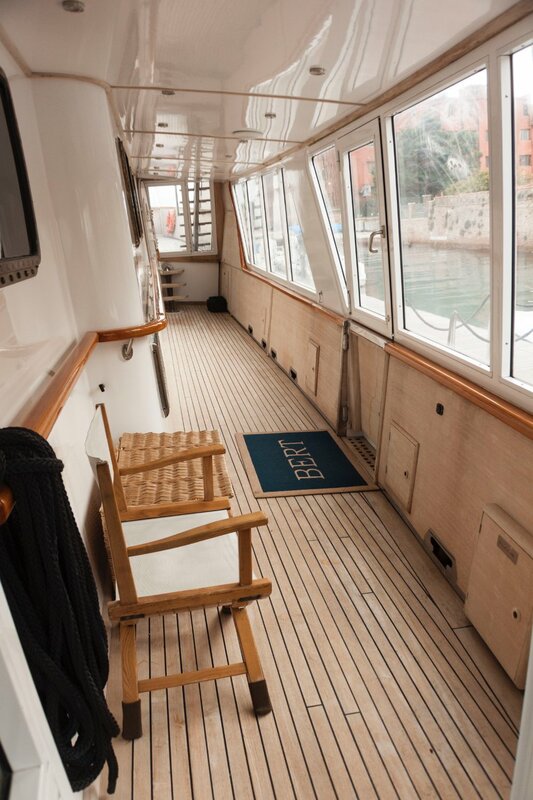 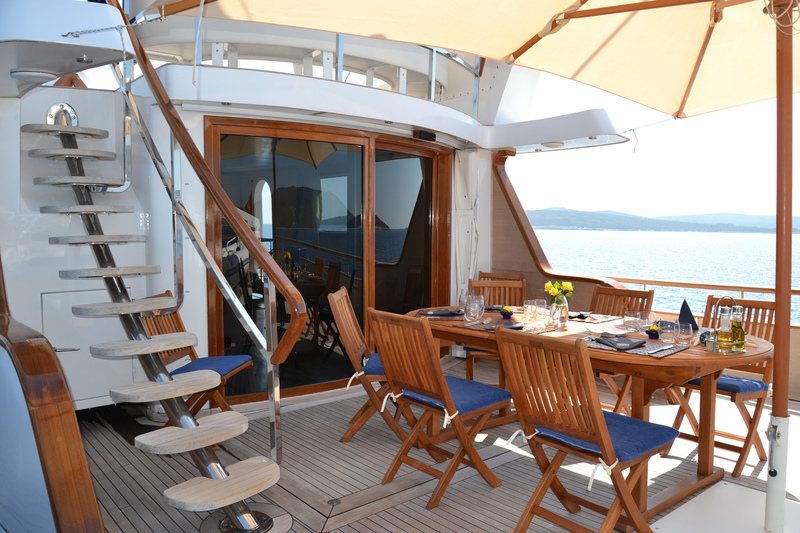 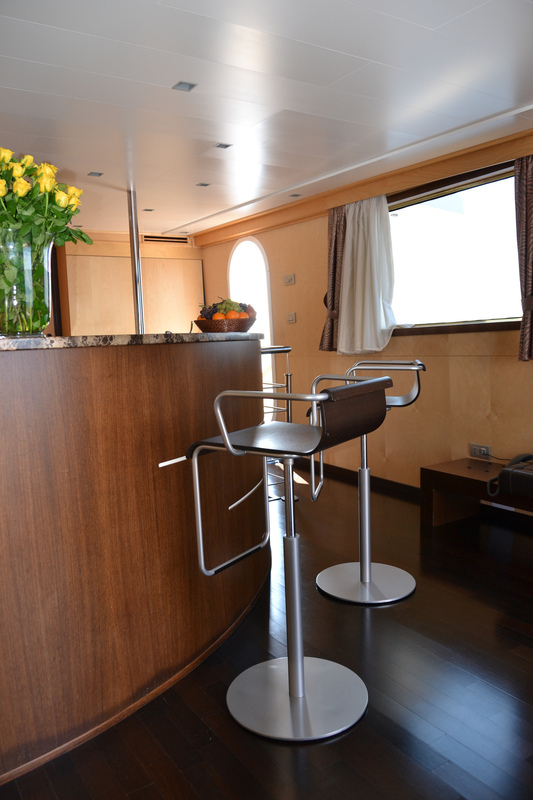 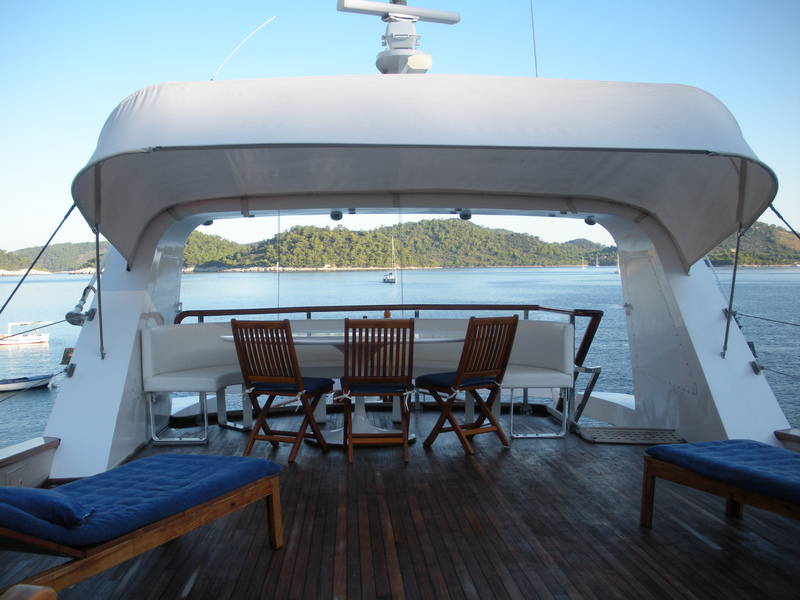 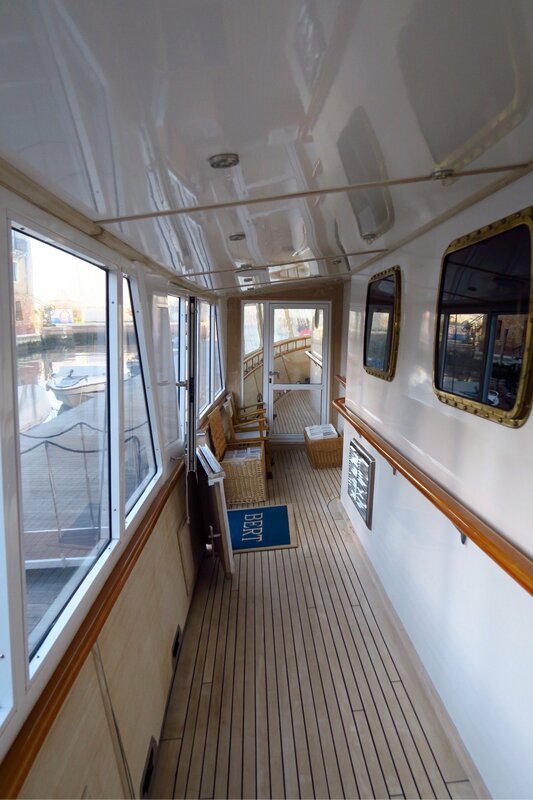 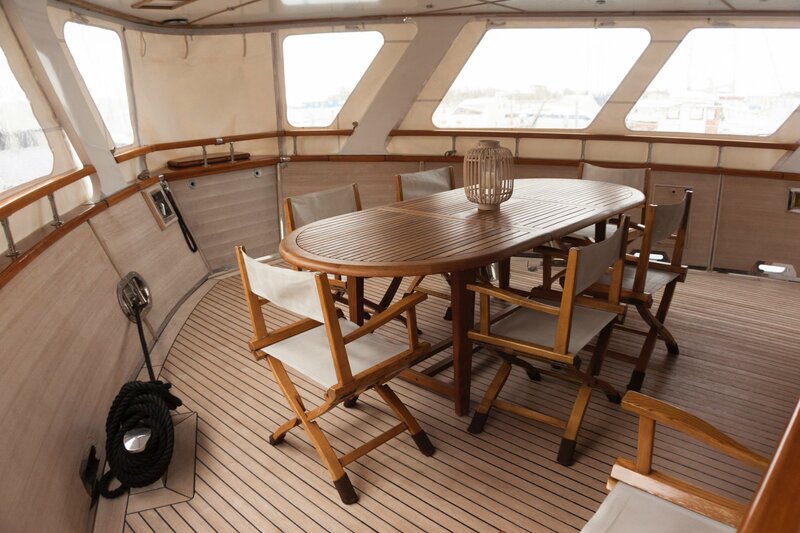 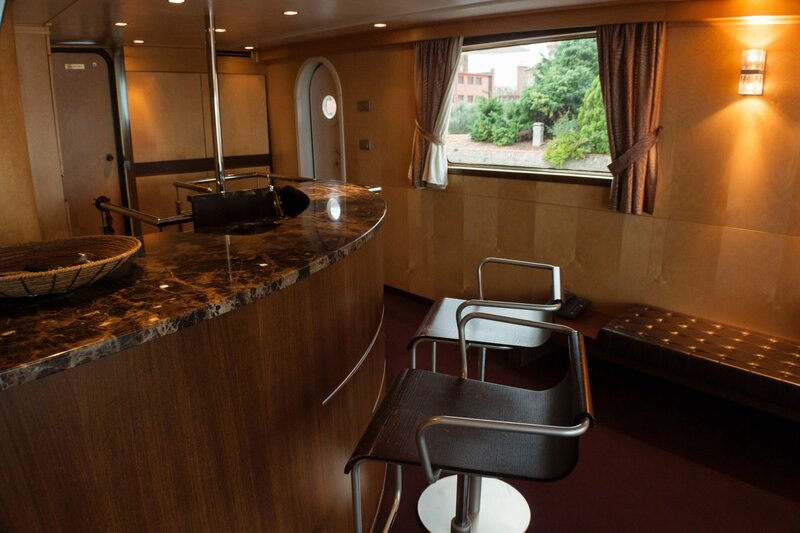 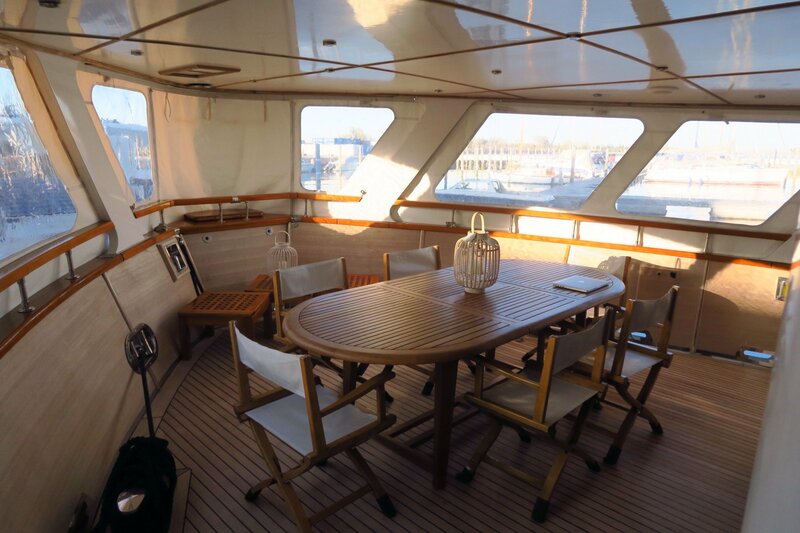 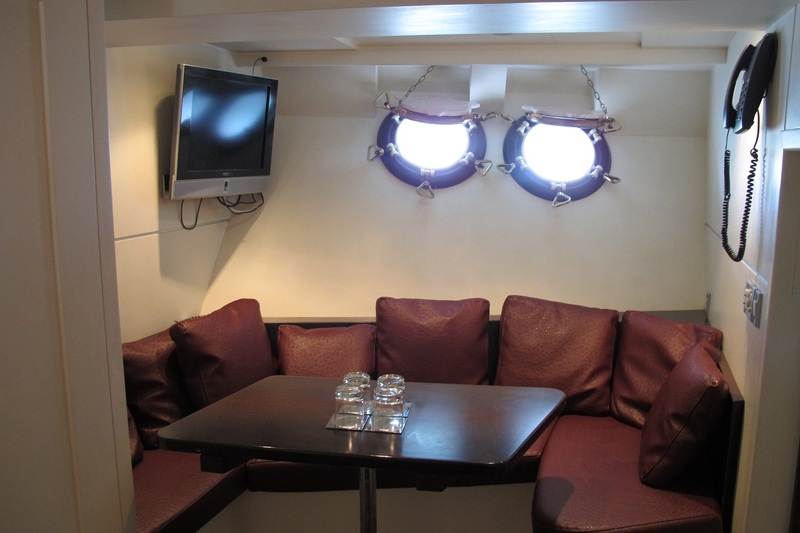 BERT has a spacious main saloon and adjoining dining area, a separate bar, an enclosed aft deck area, sheltered from the elements yet offering a great view during al fresco dining, as well as an open sundeck which is perfect for catching the suns rays on a sun lounger. 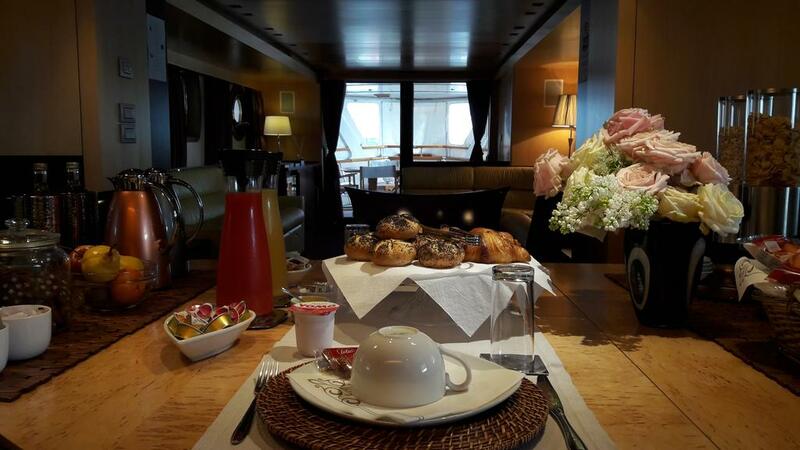 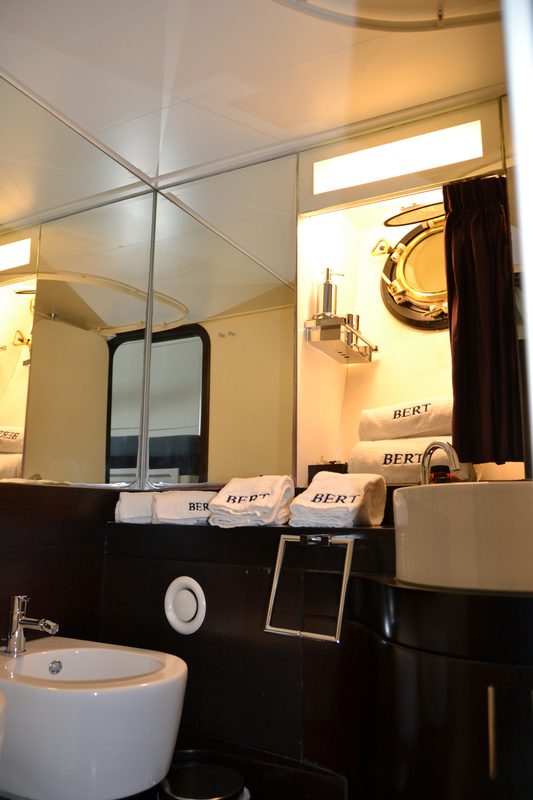 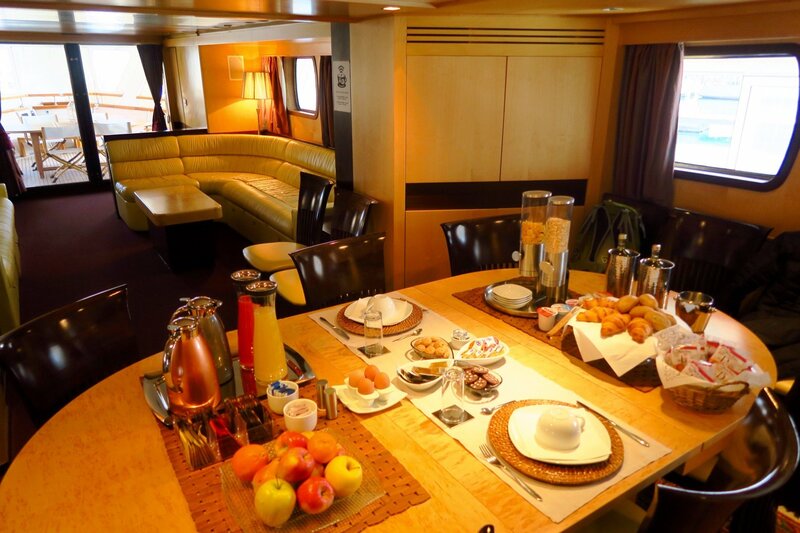 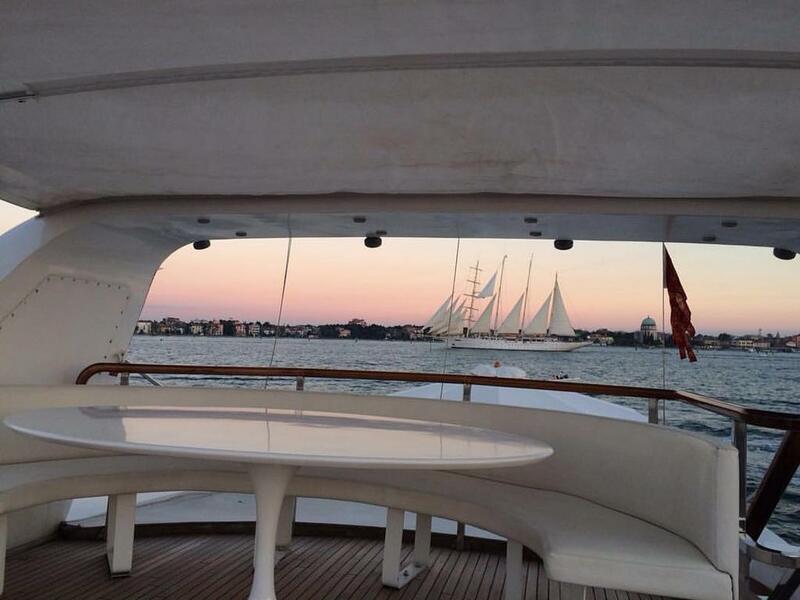 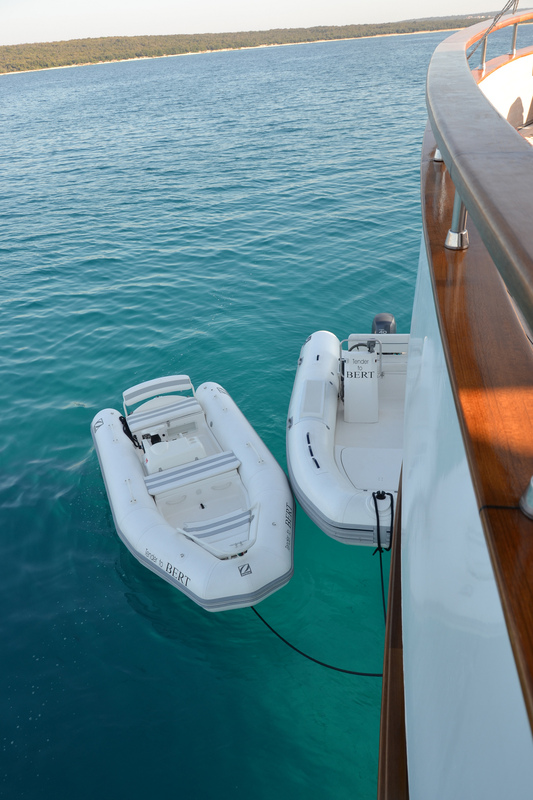 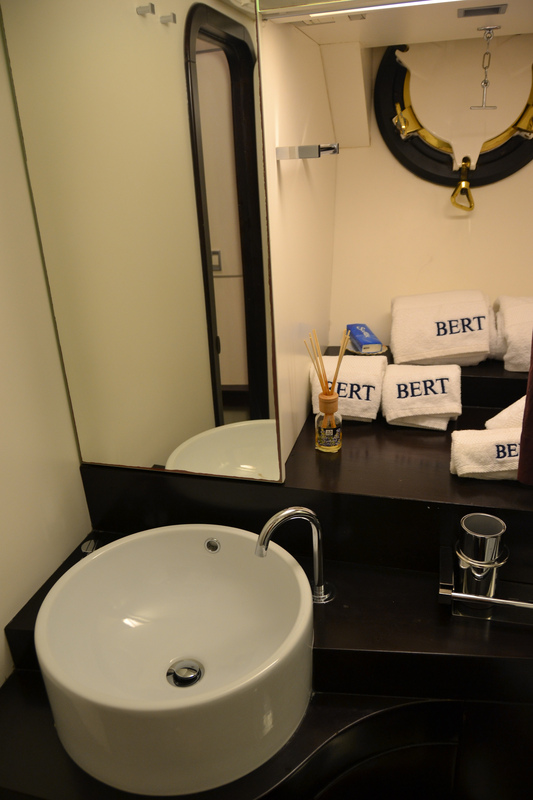 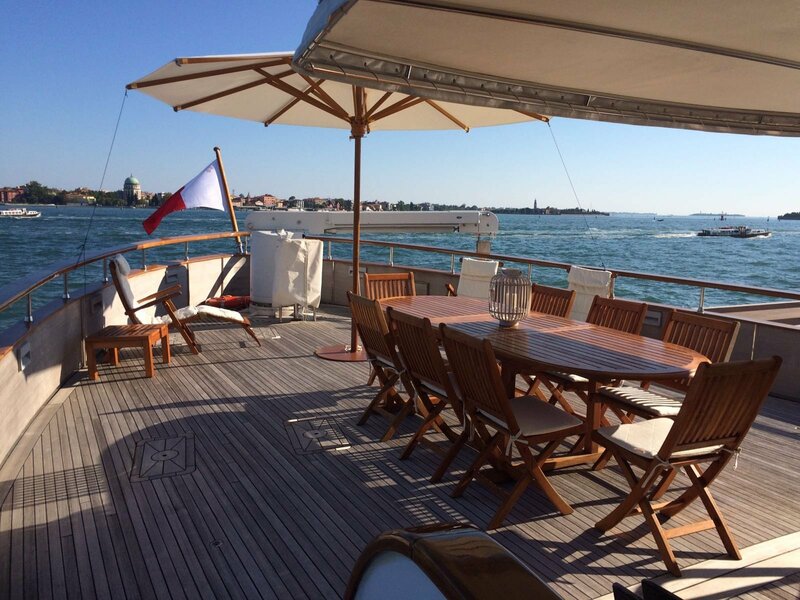 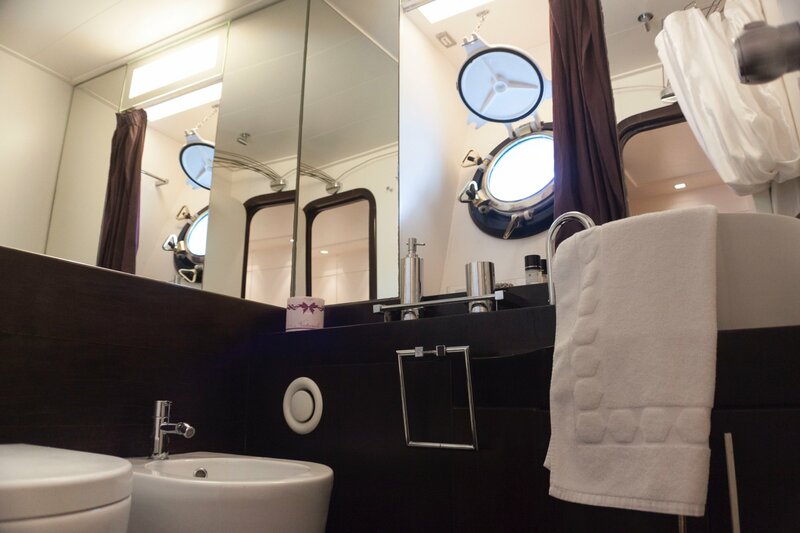 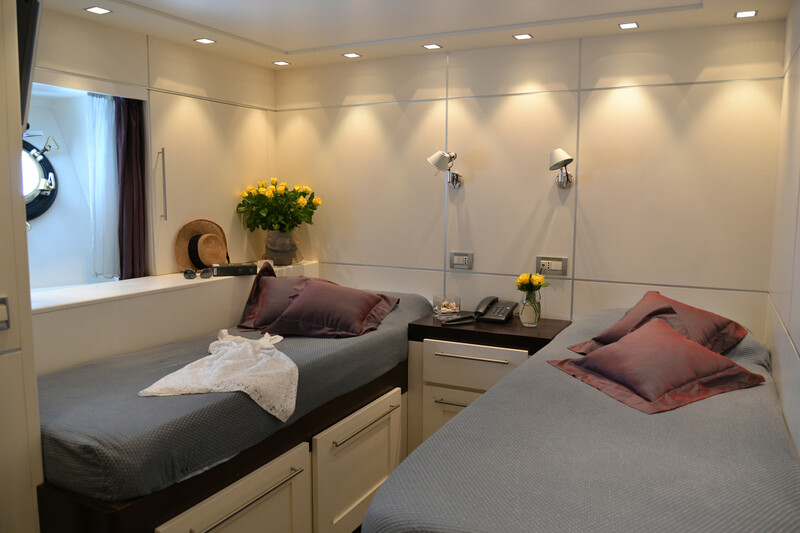 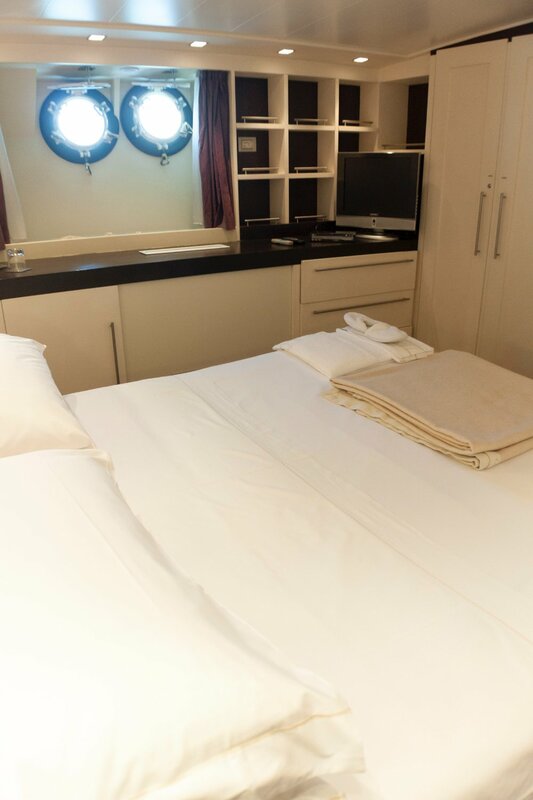 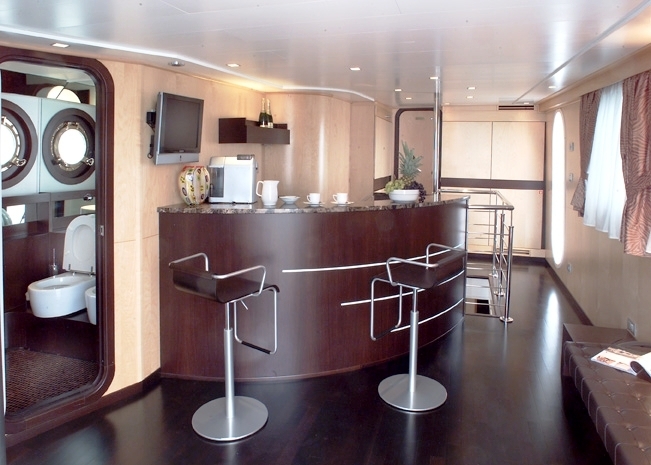 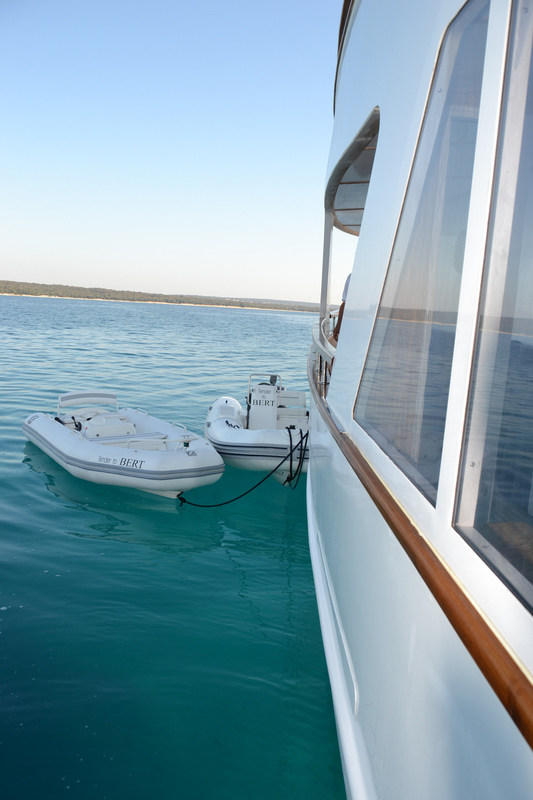 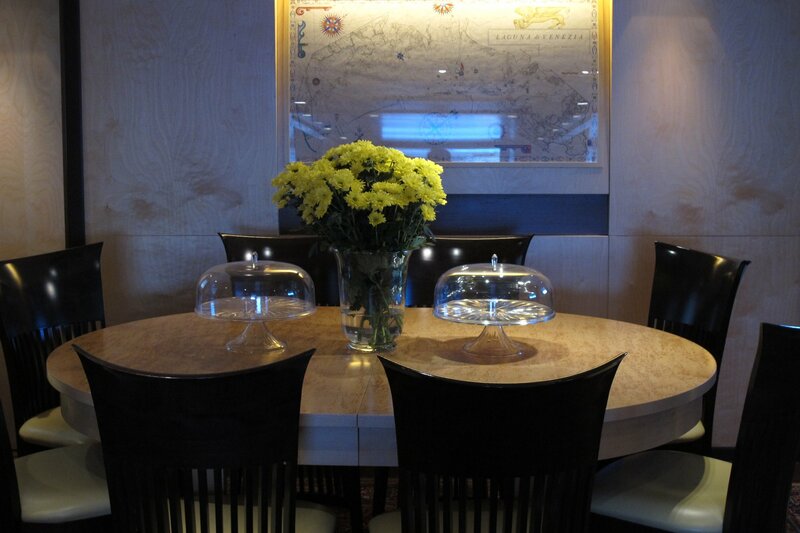 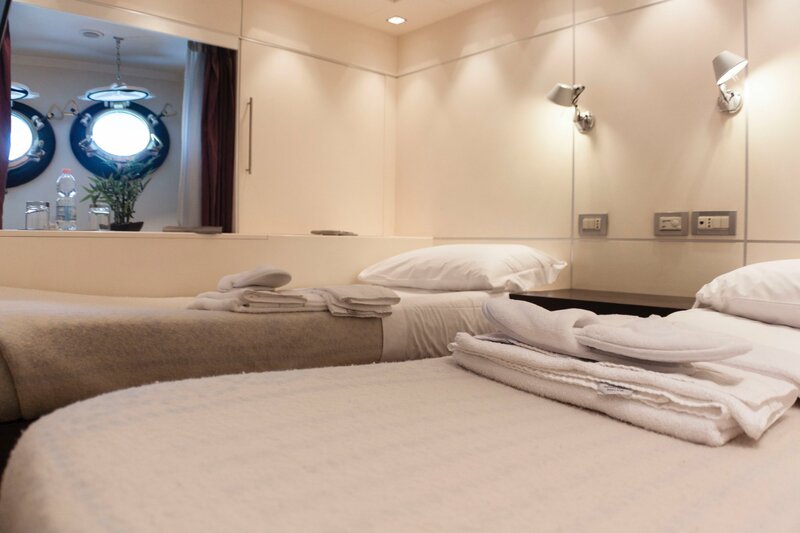 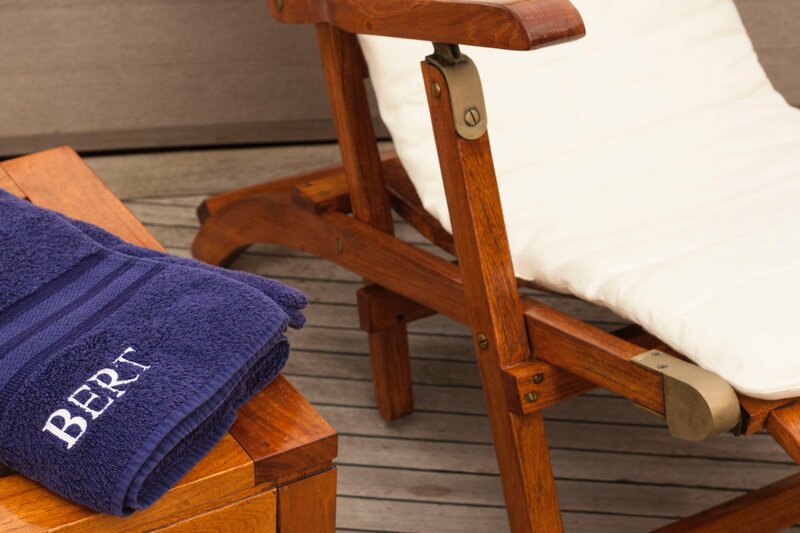 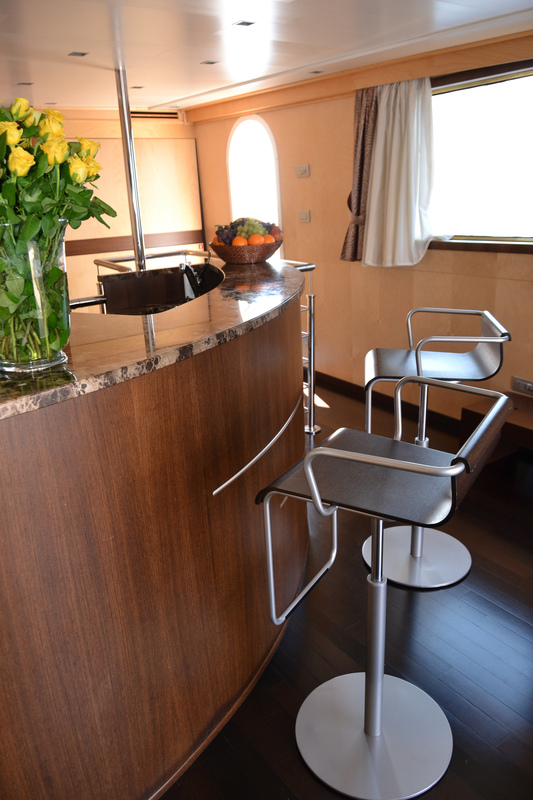 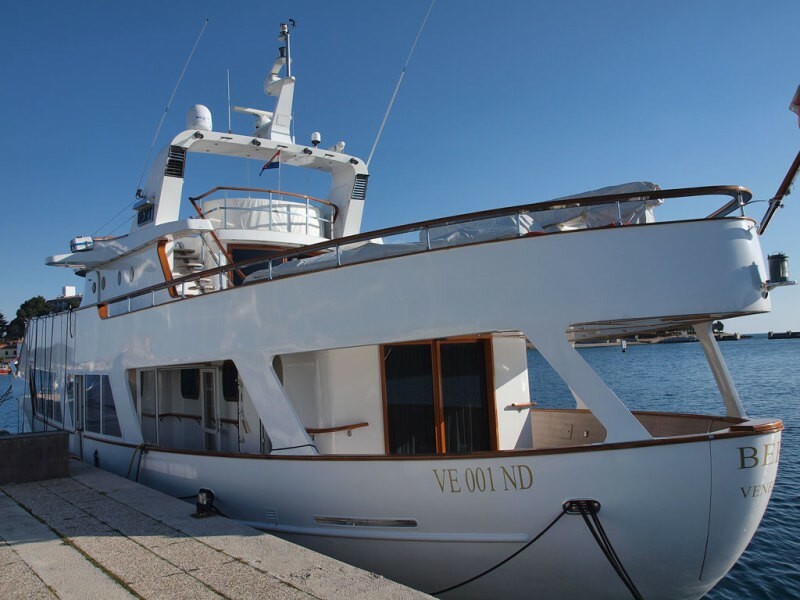 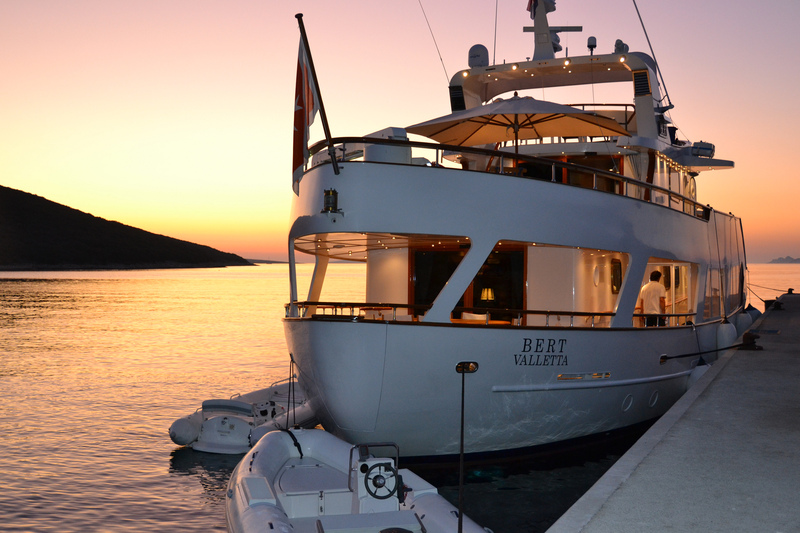 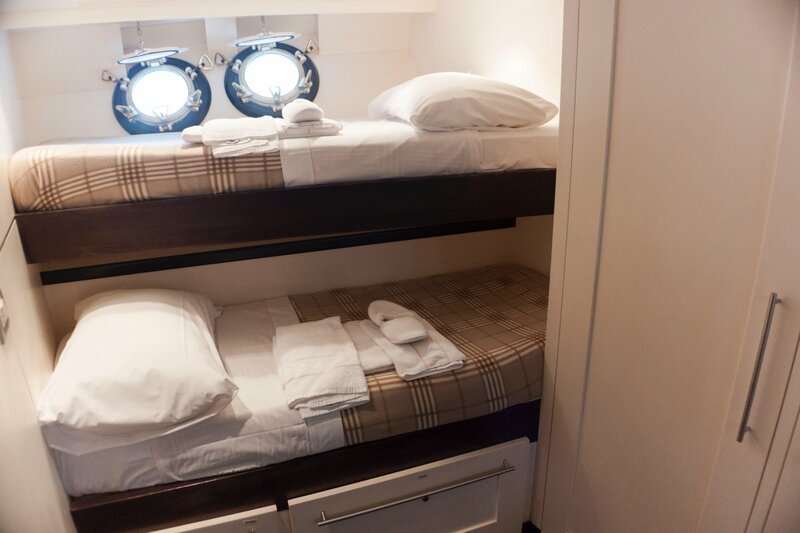 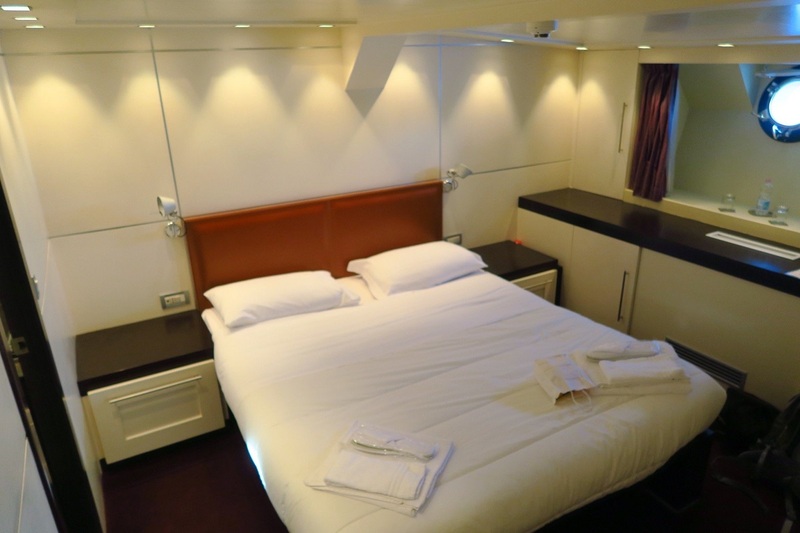 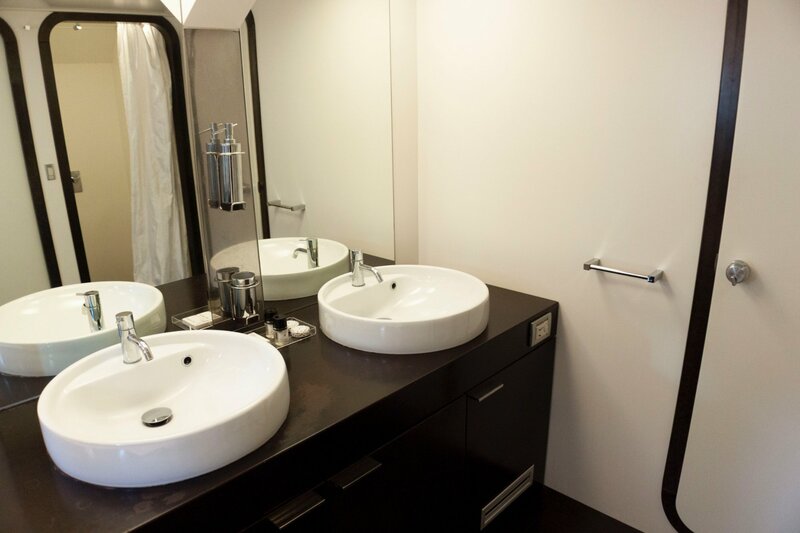 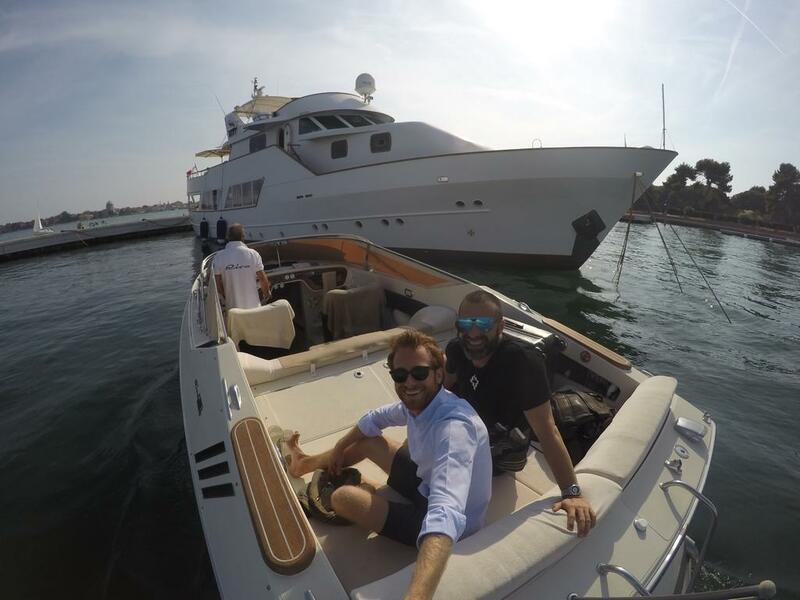 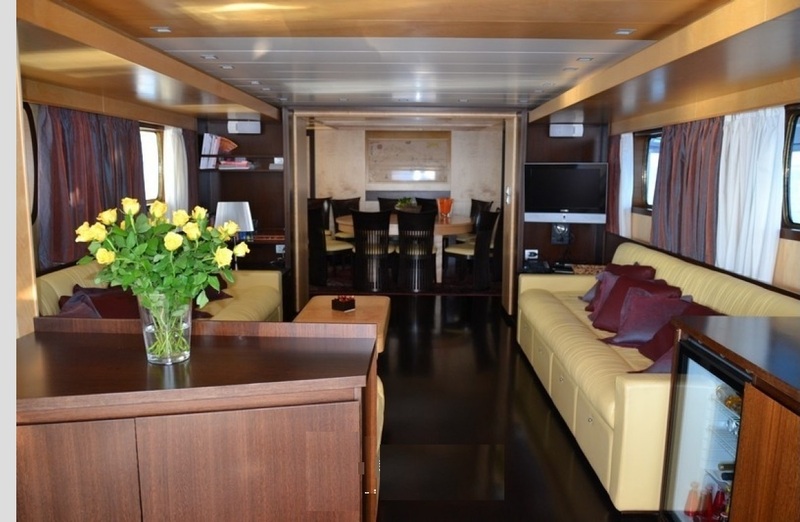 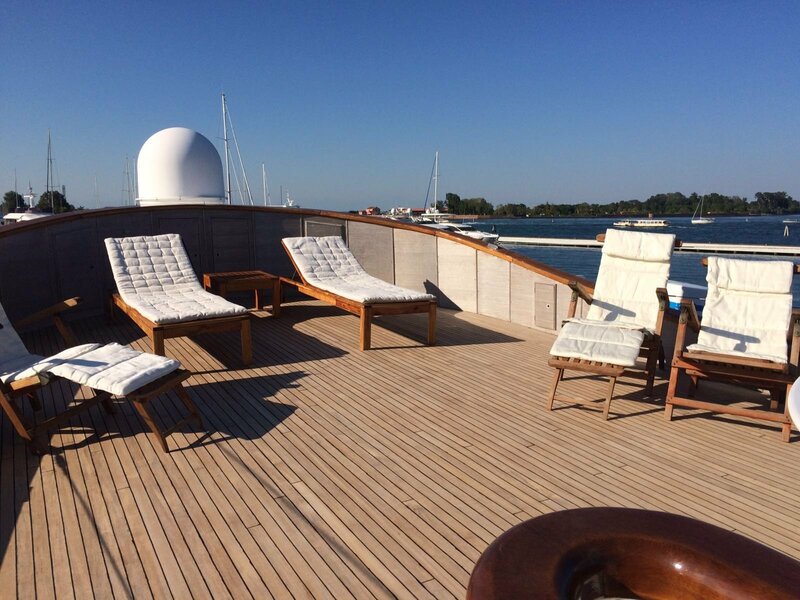 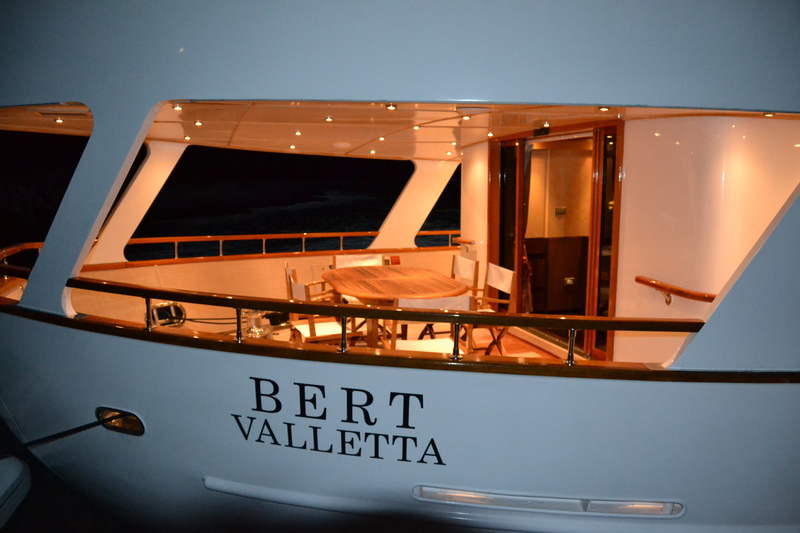 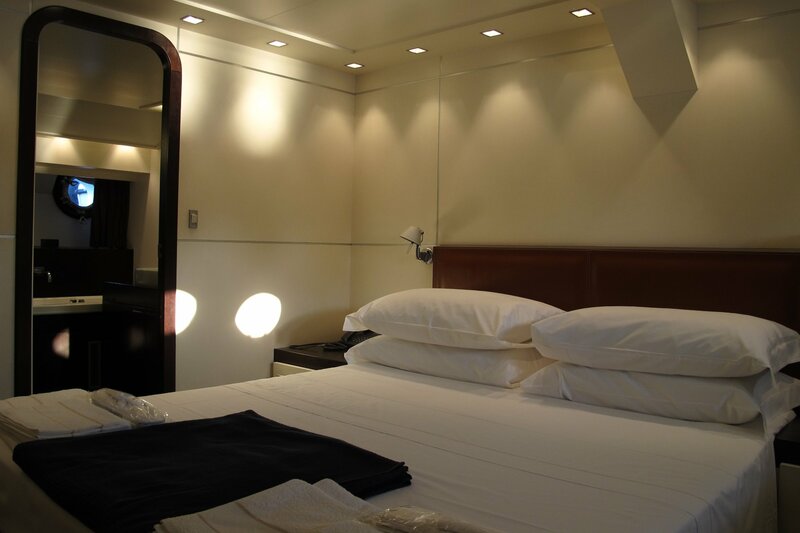 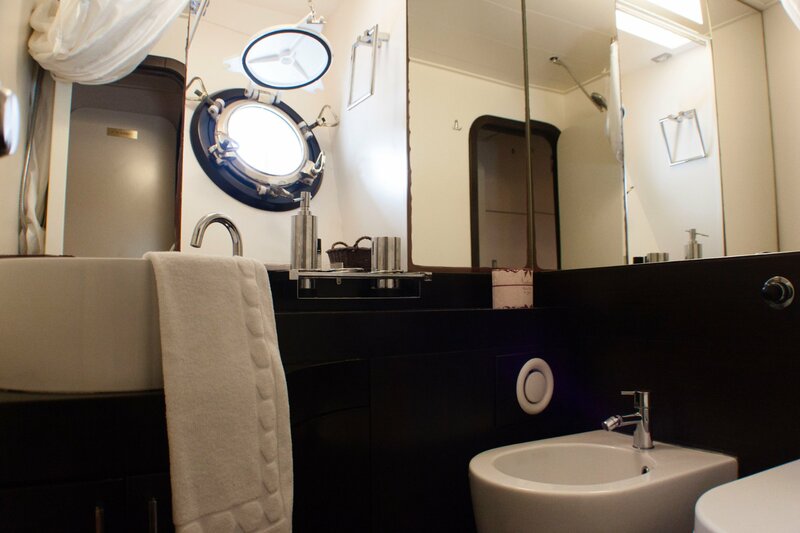 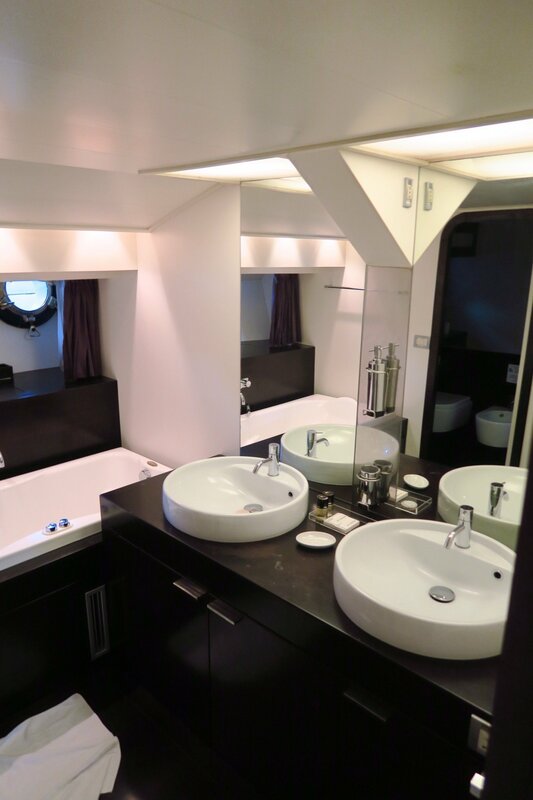 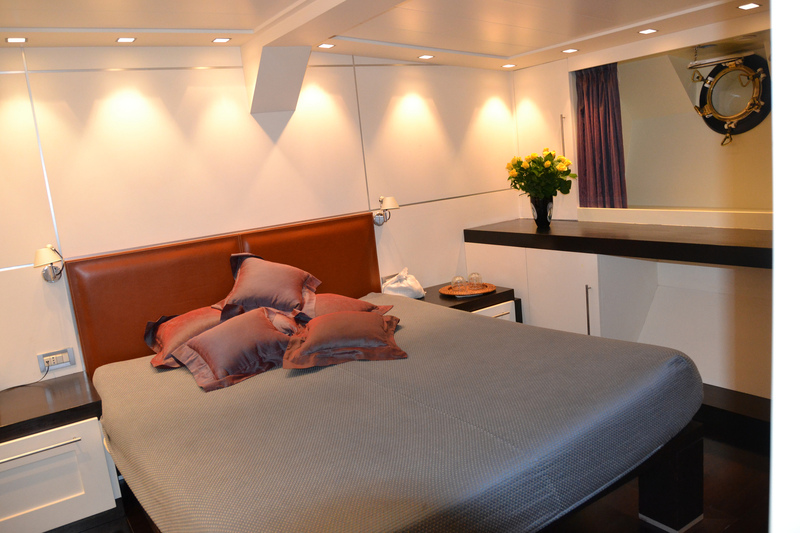 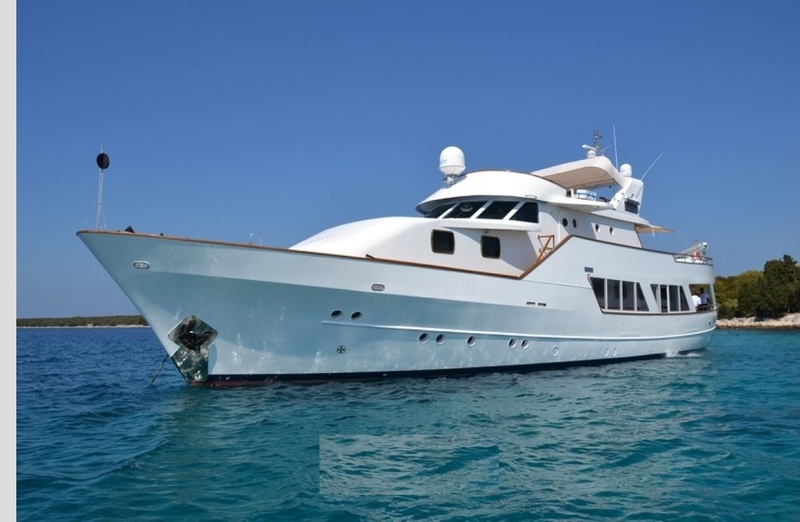 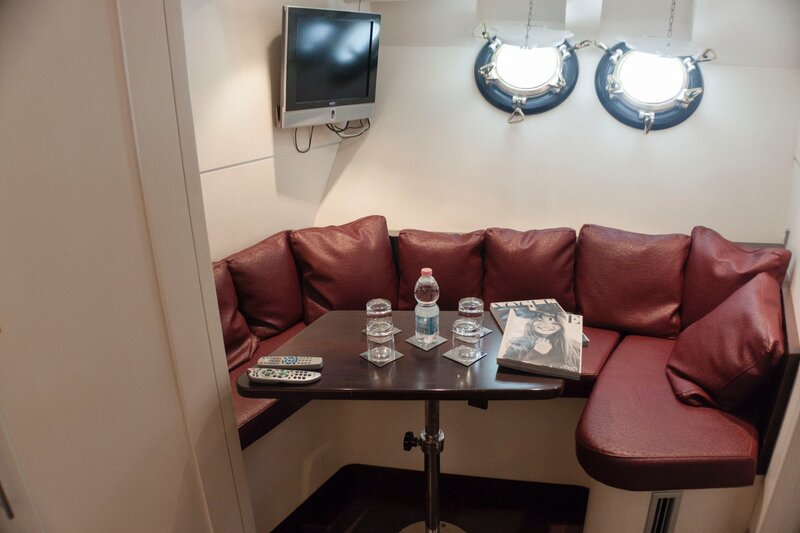 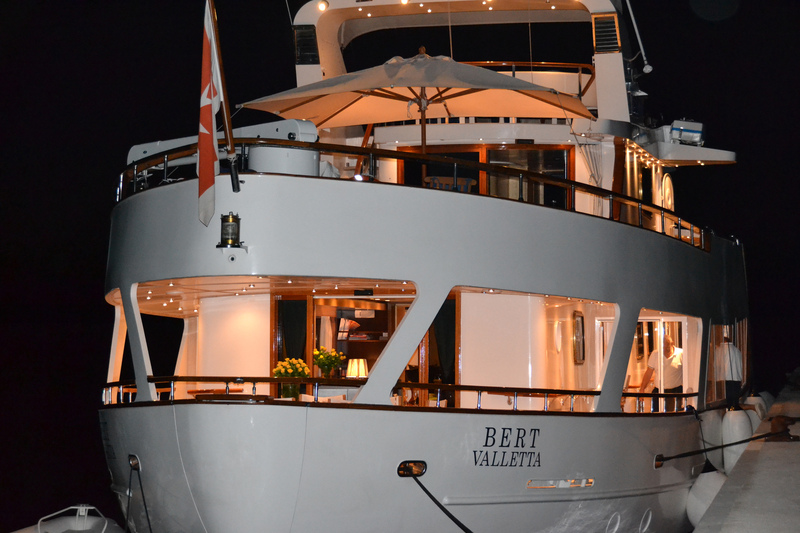 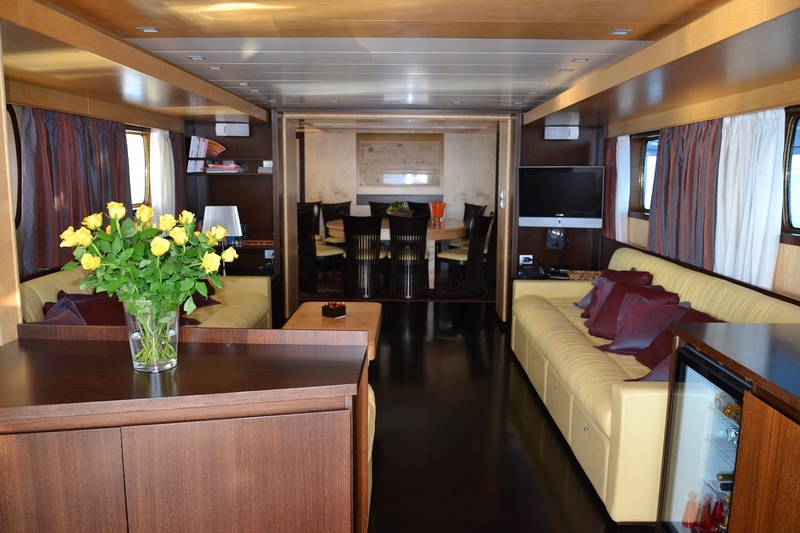 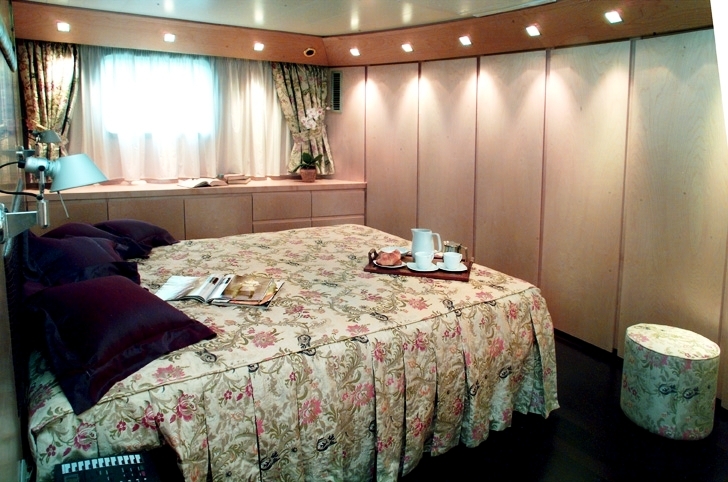 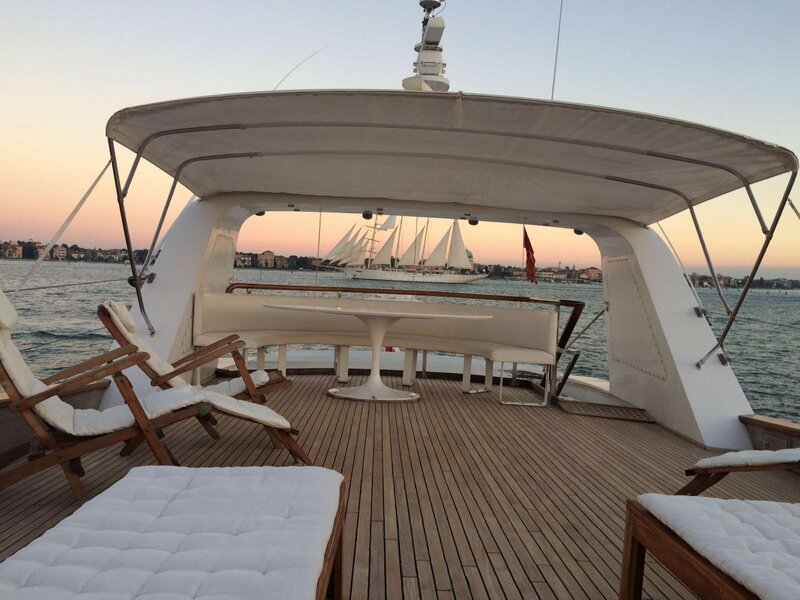 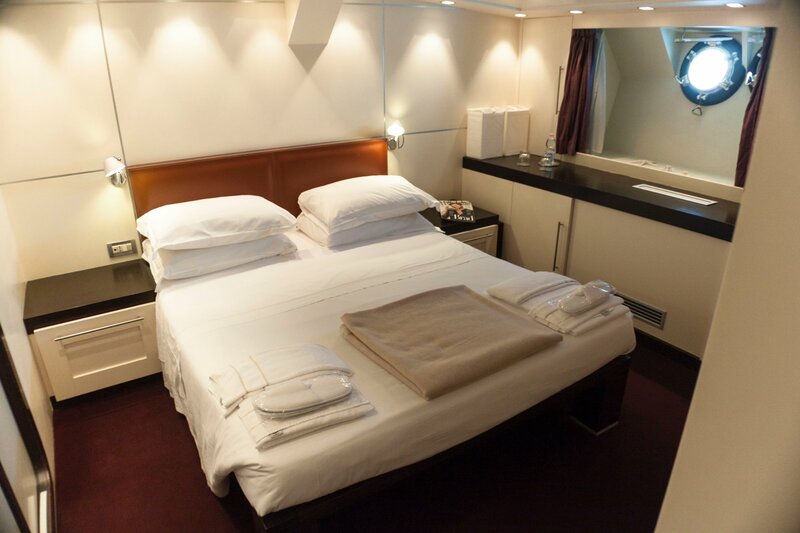 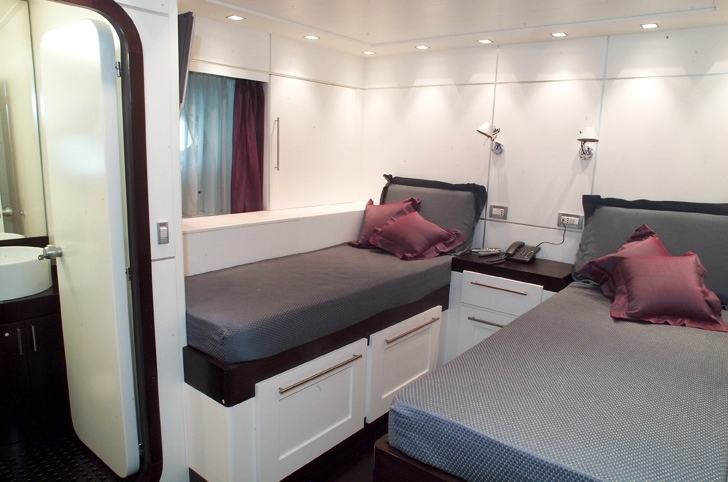 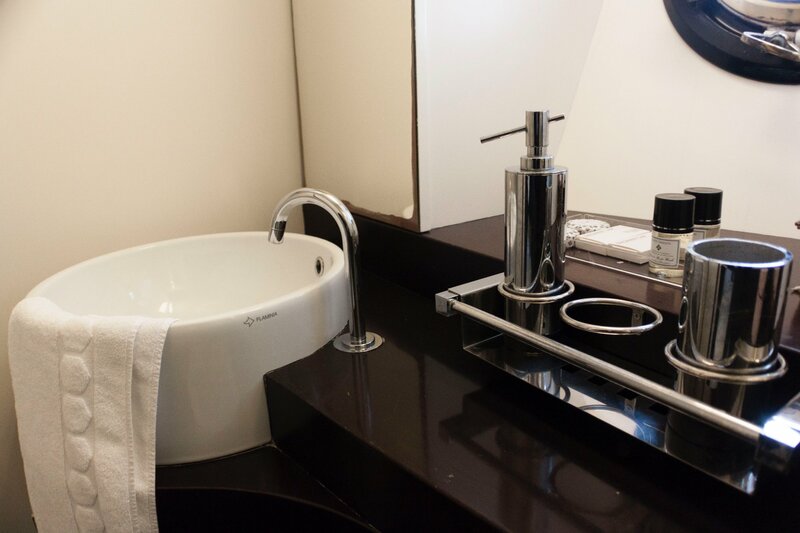 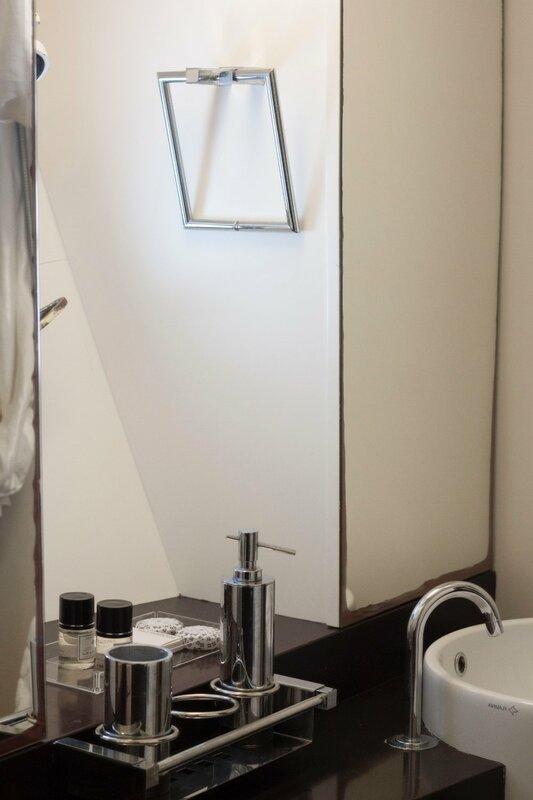 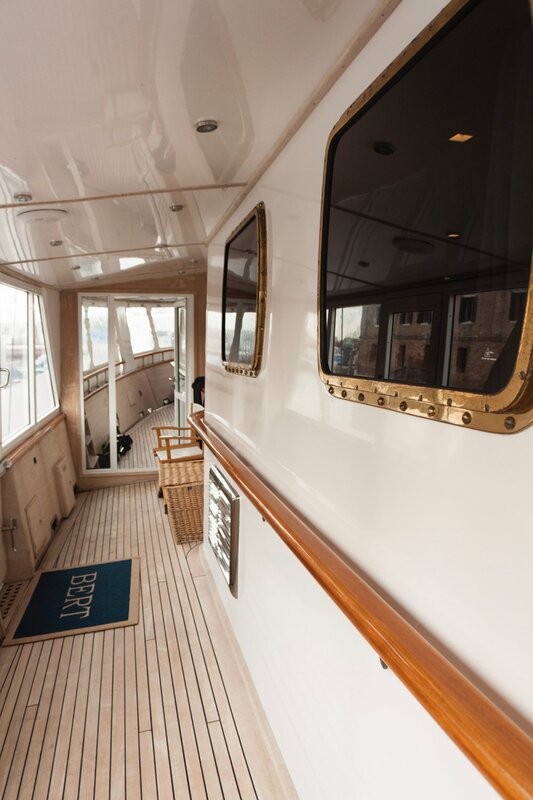 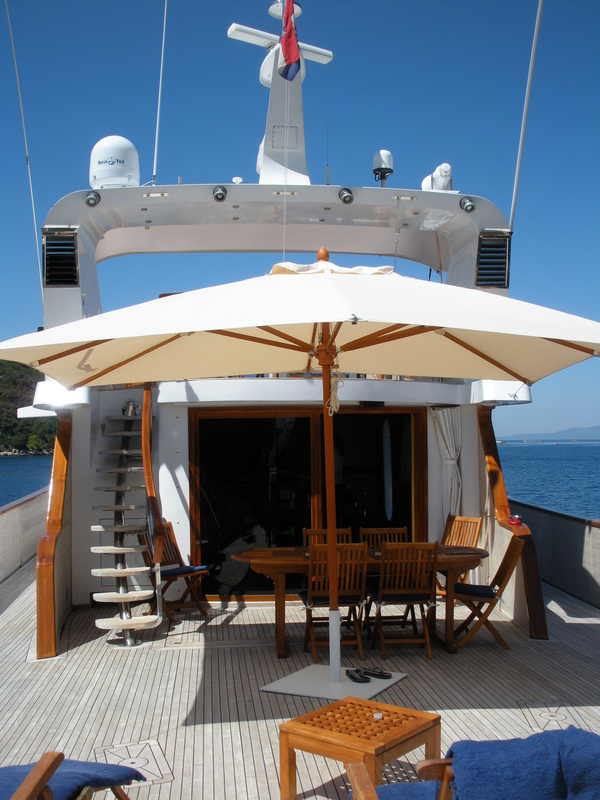 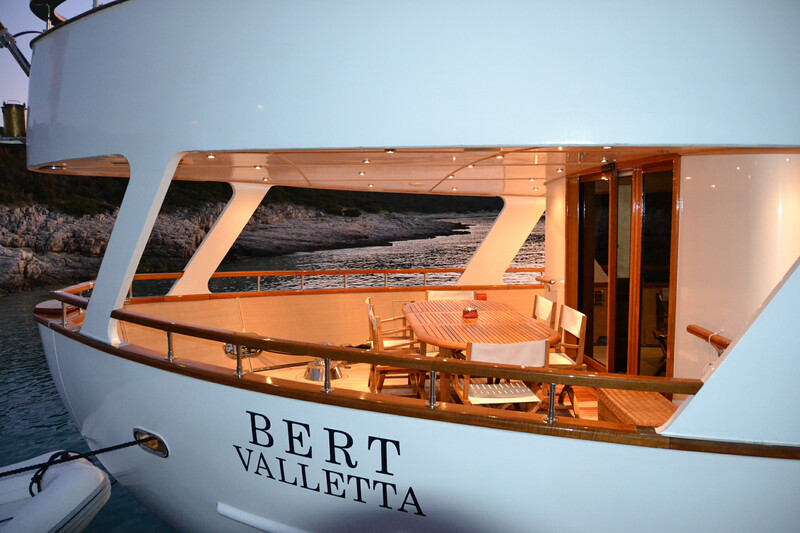 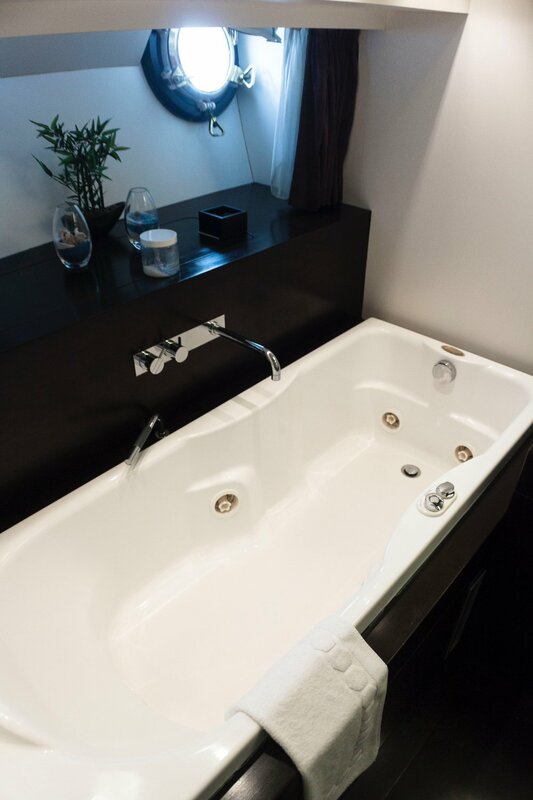 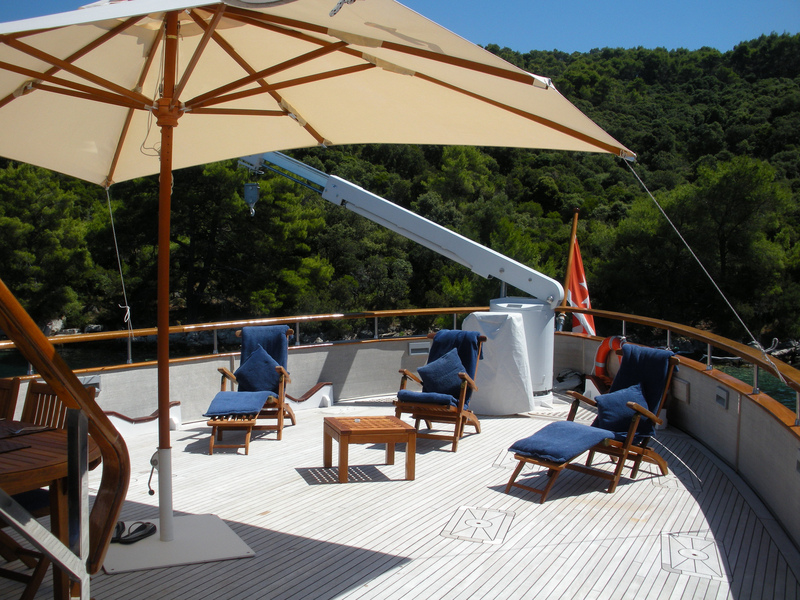 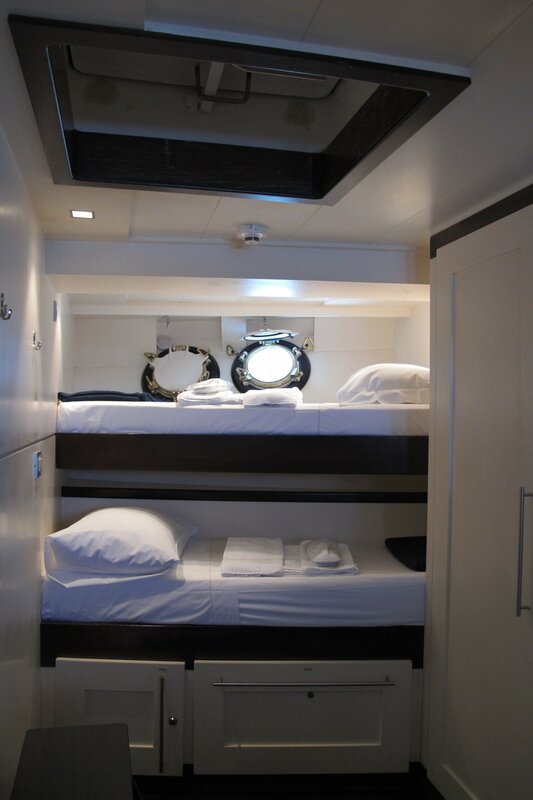 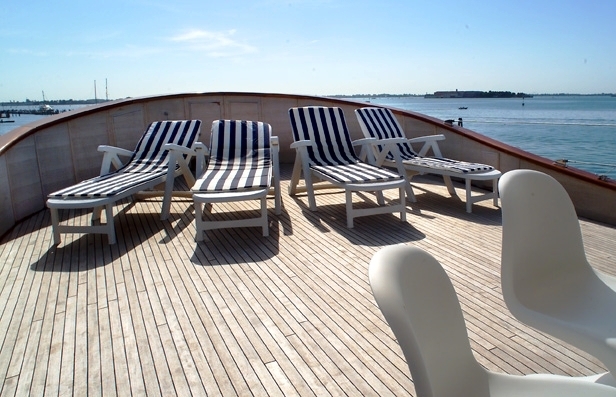 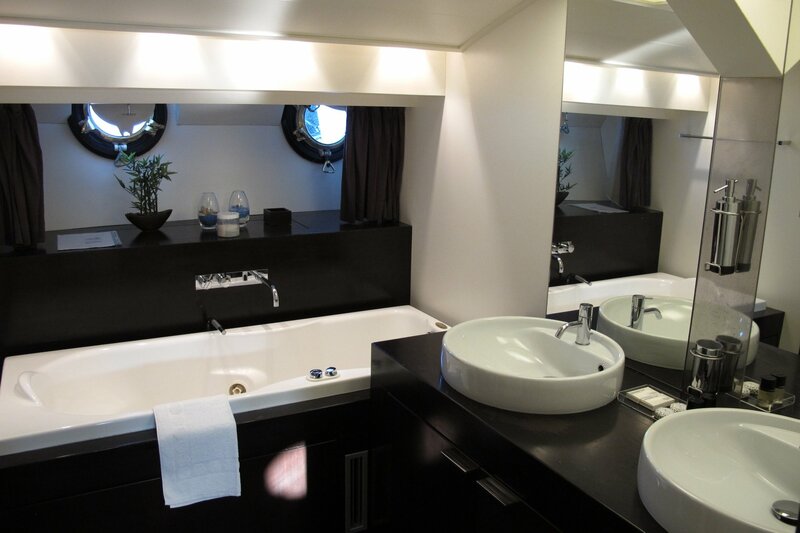 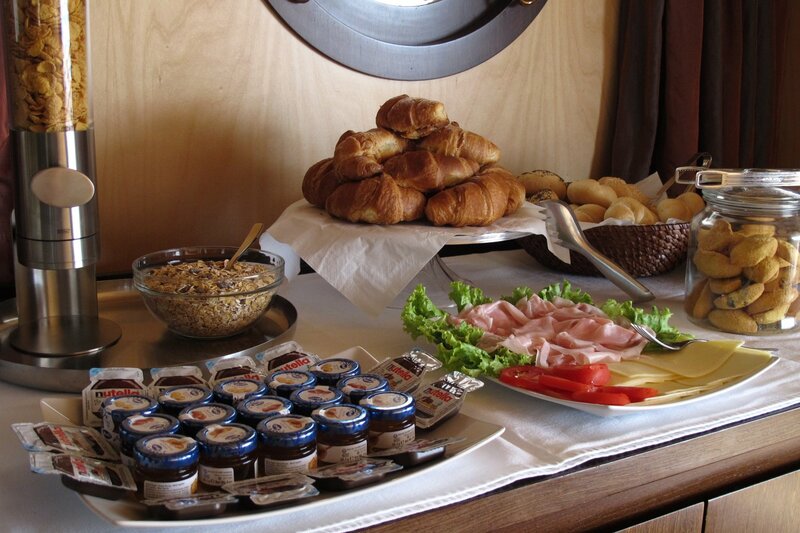 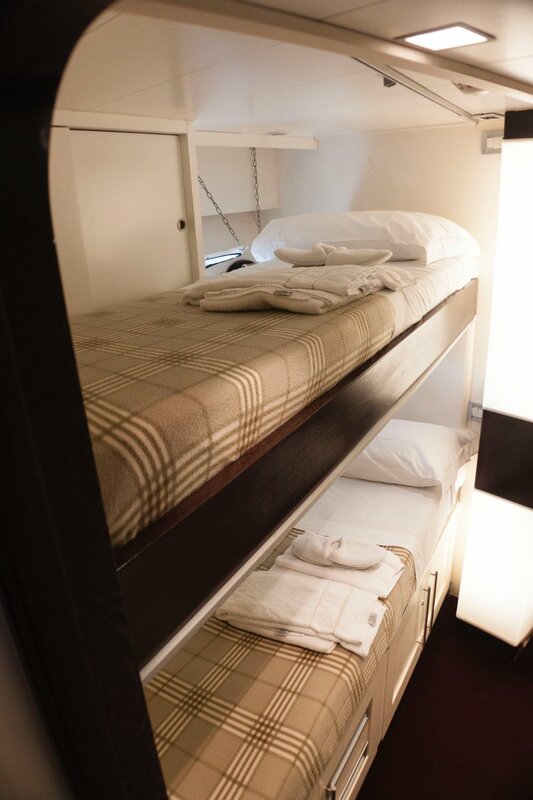 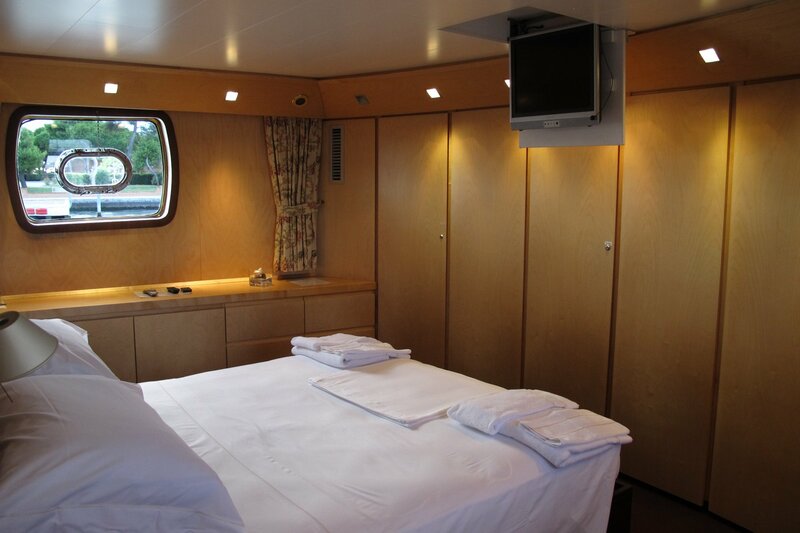 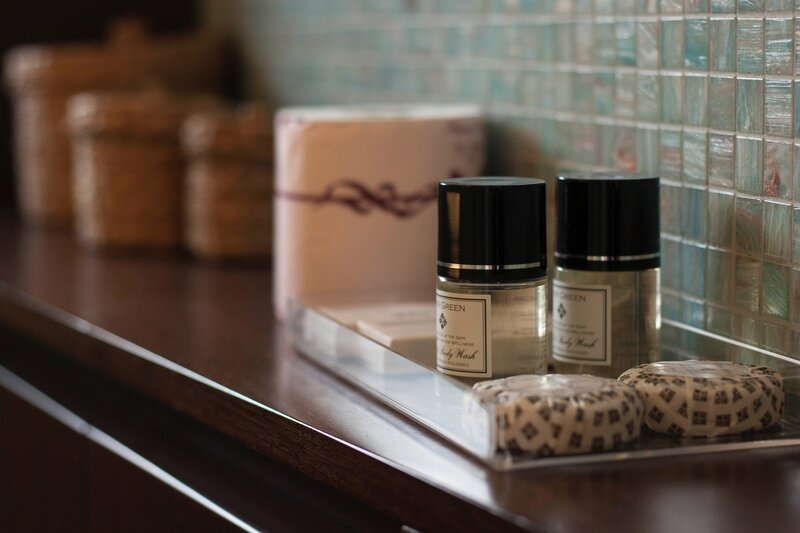 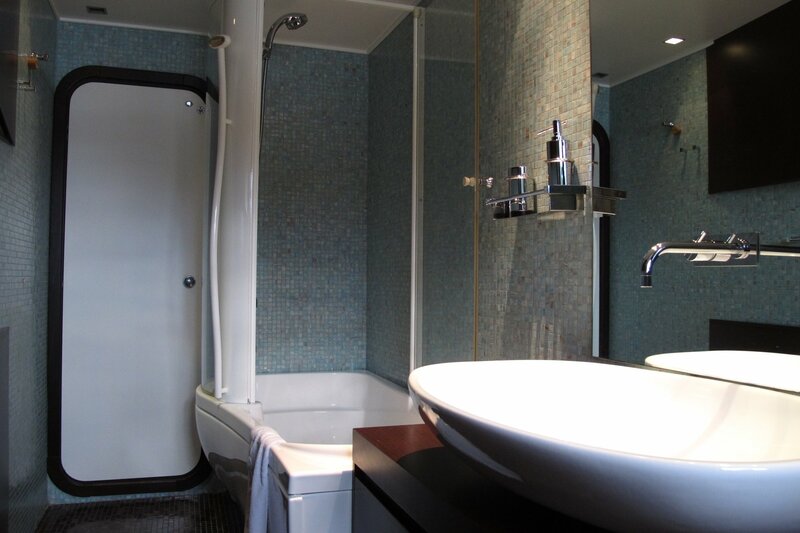 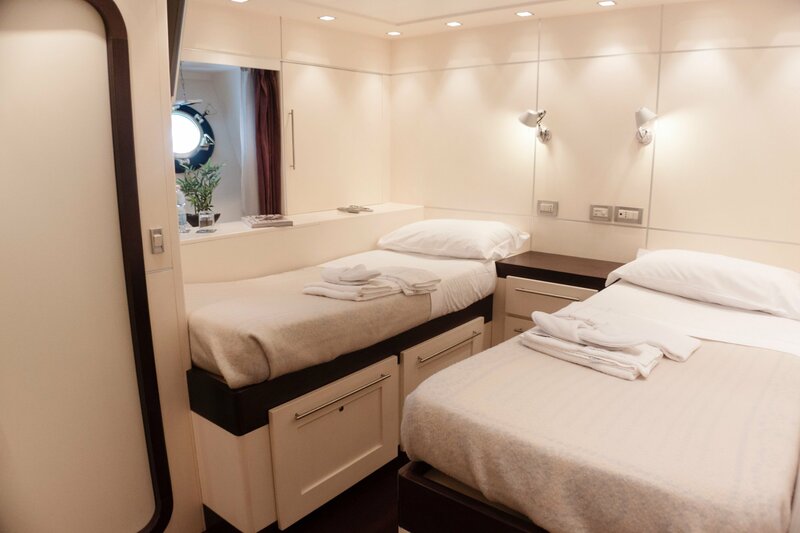 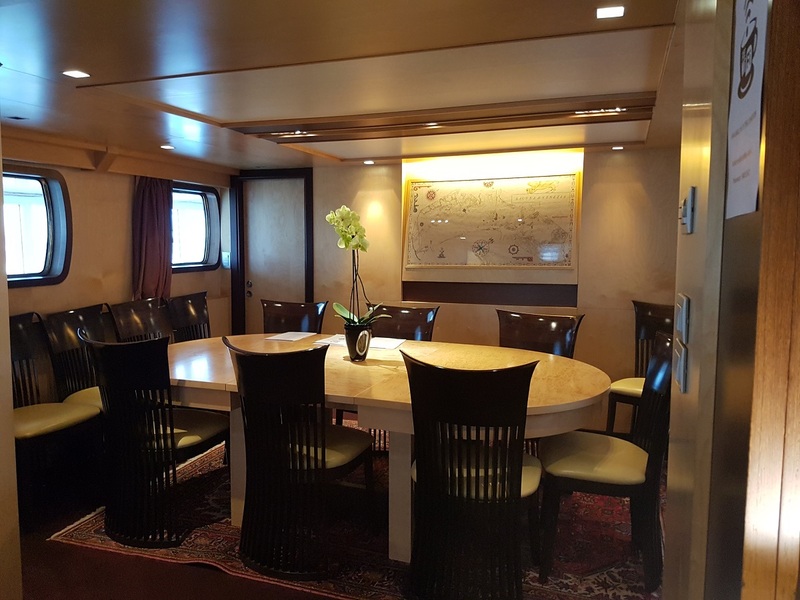 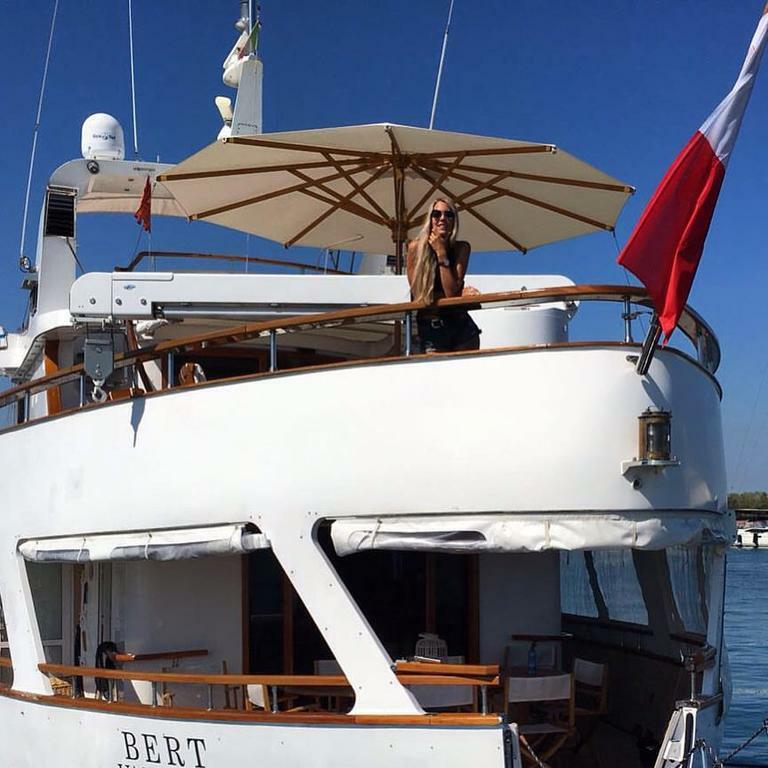 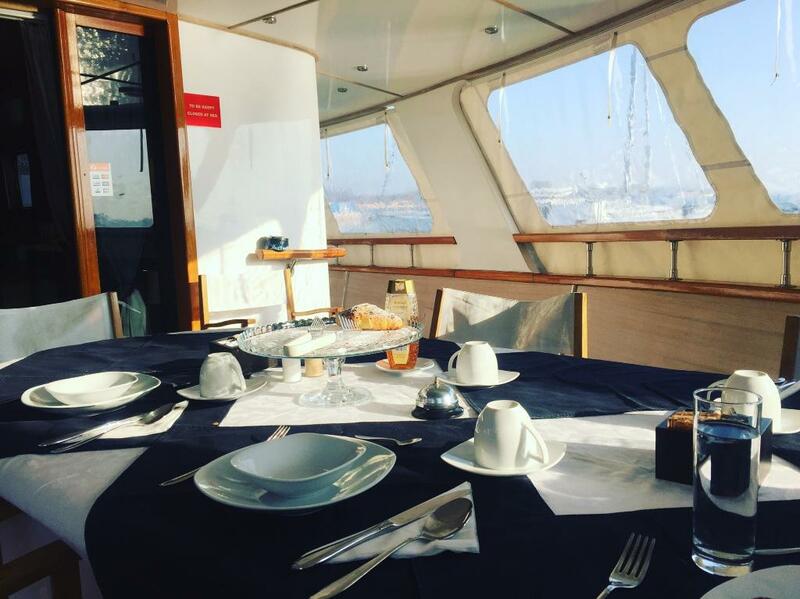 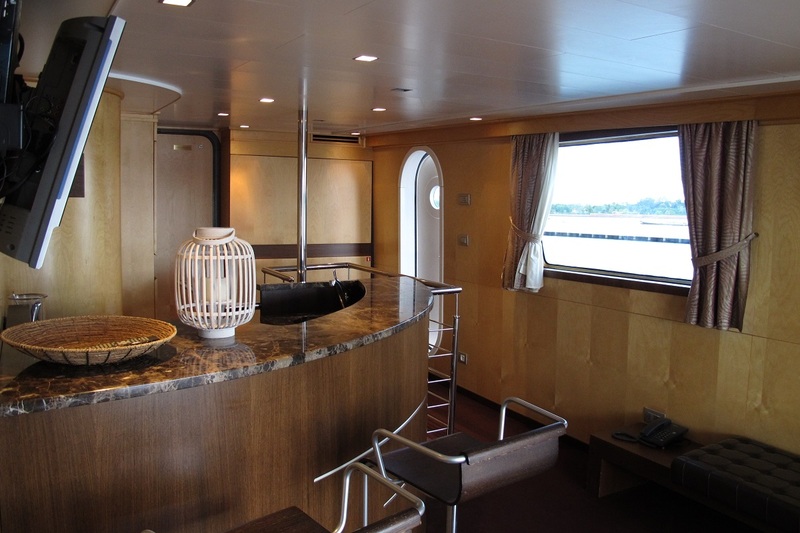 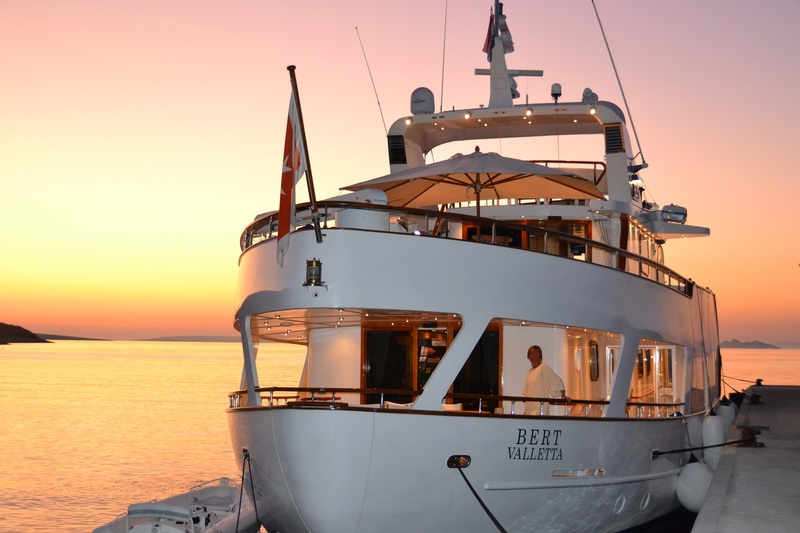 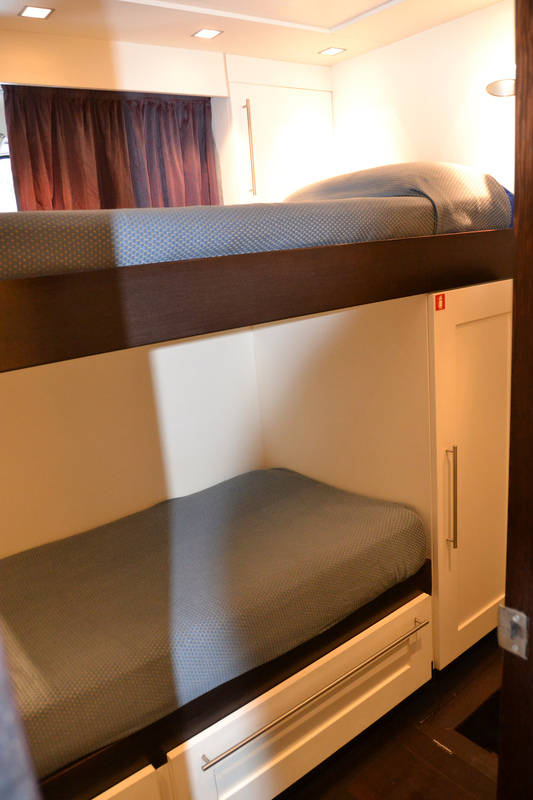 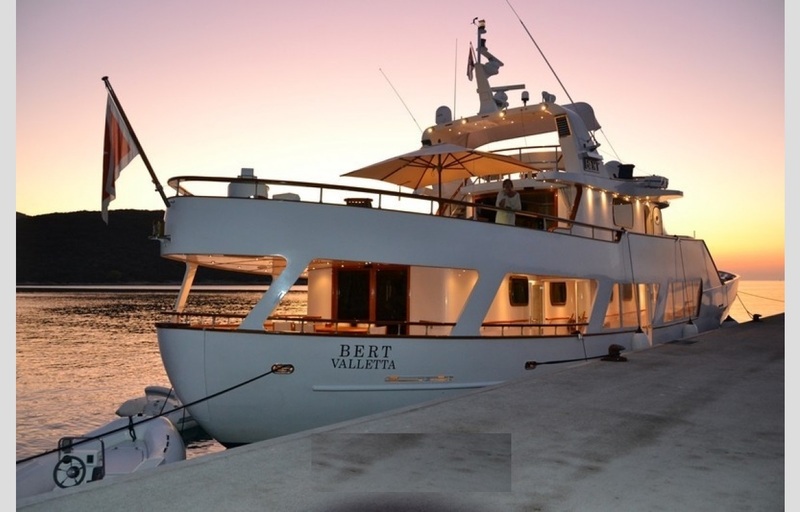 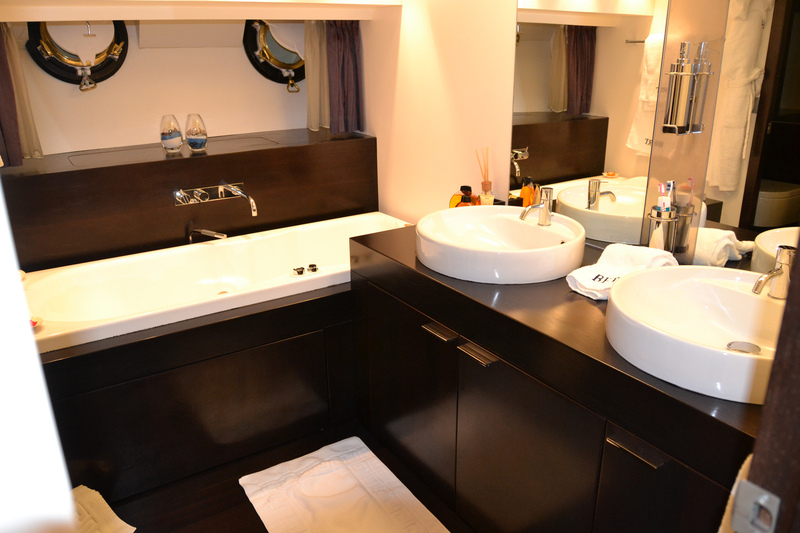 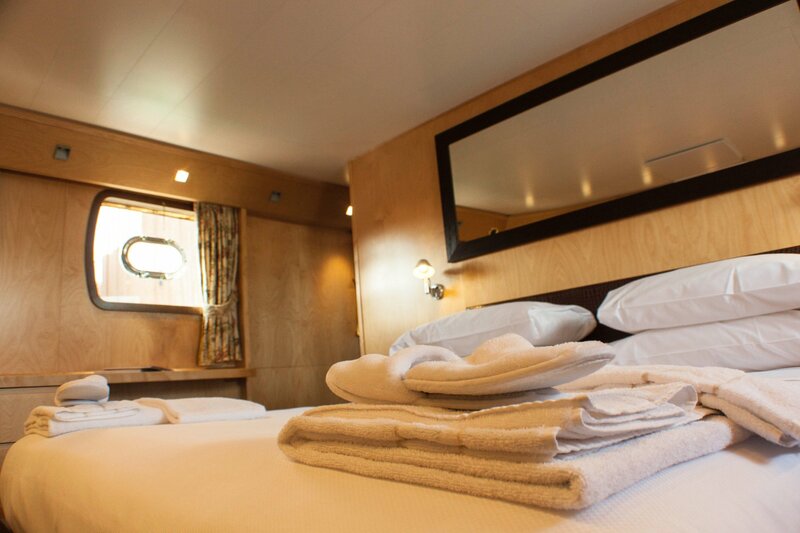 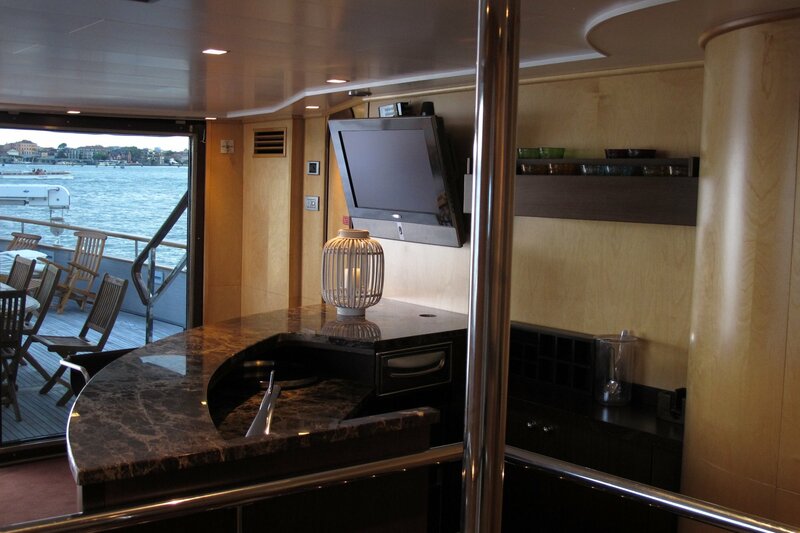 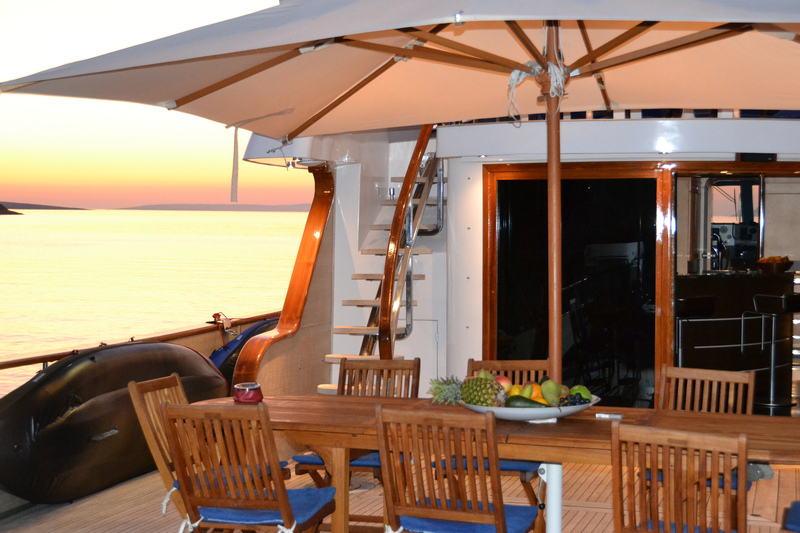 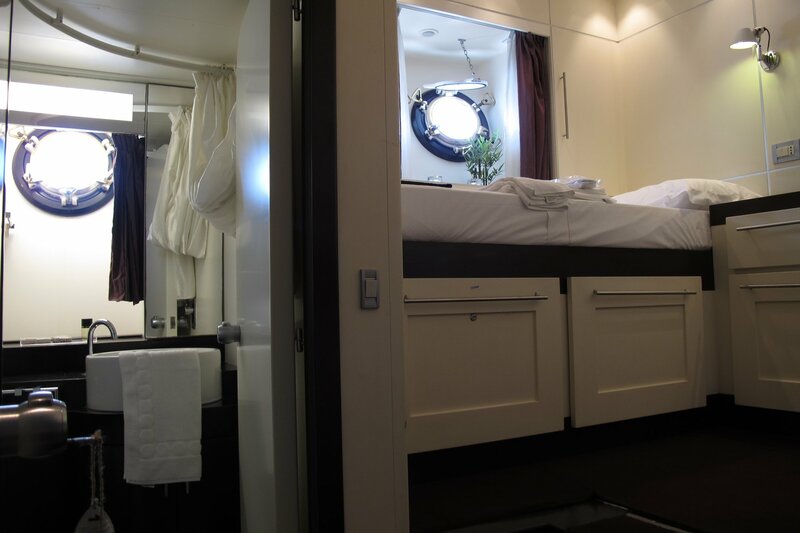 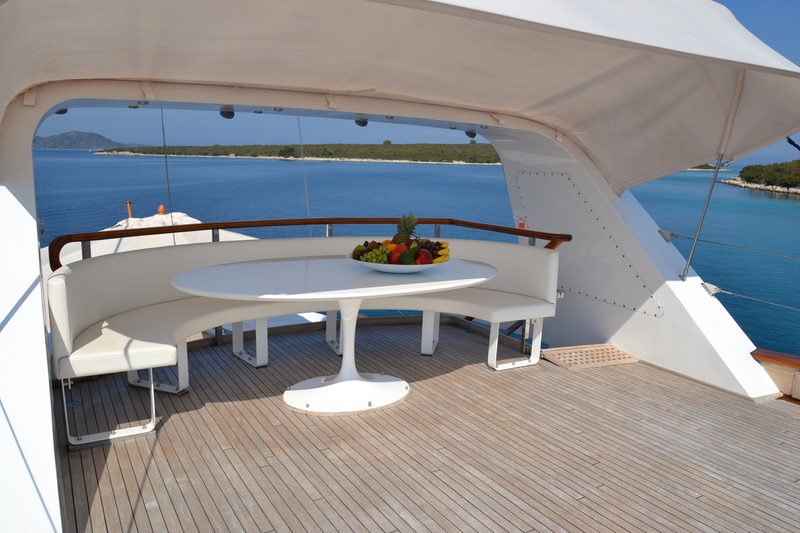 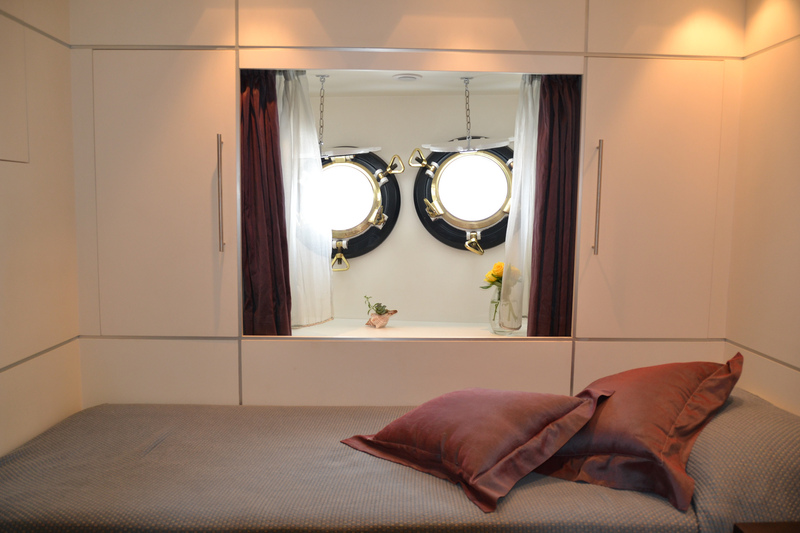 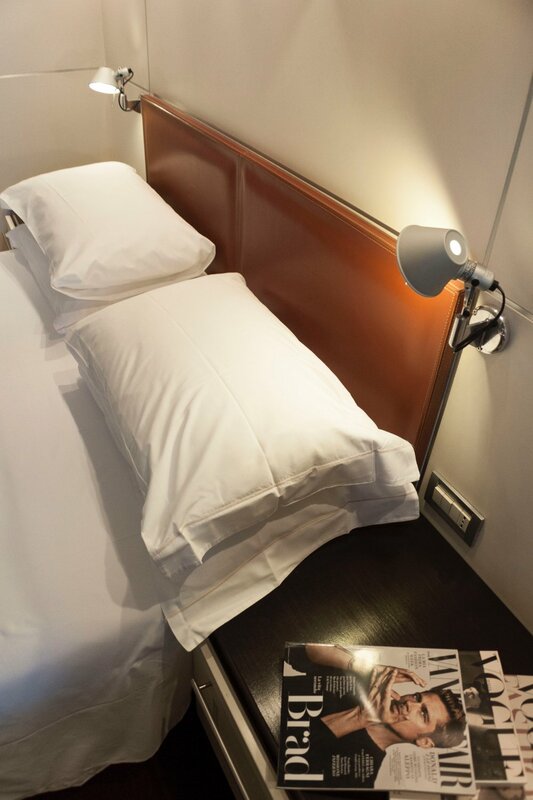 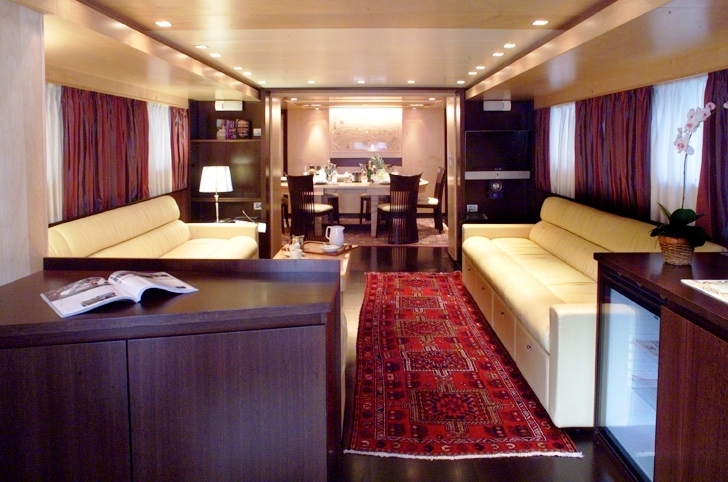 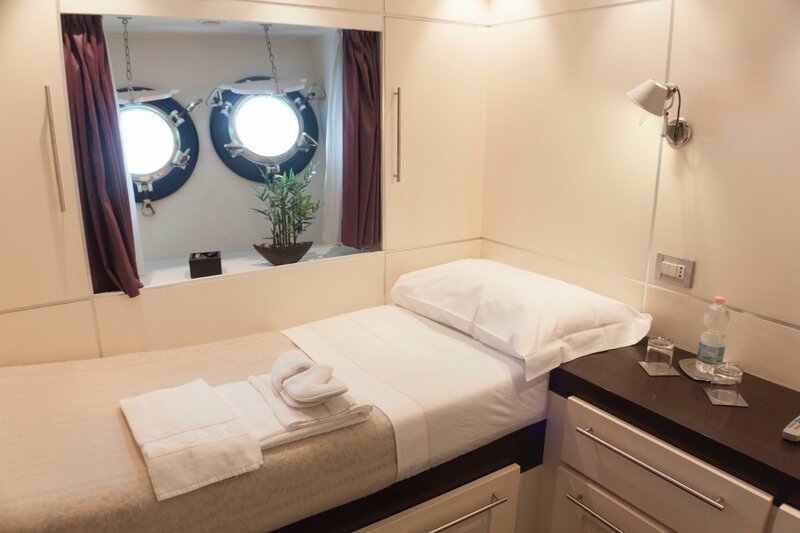 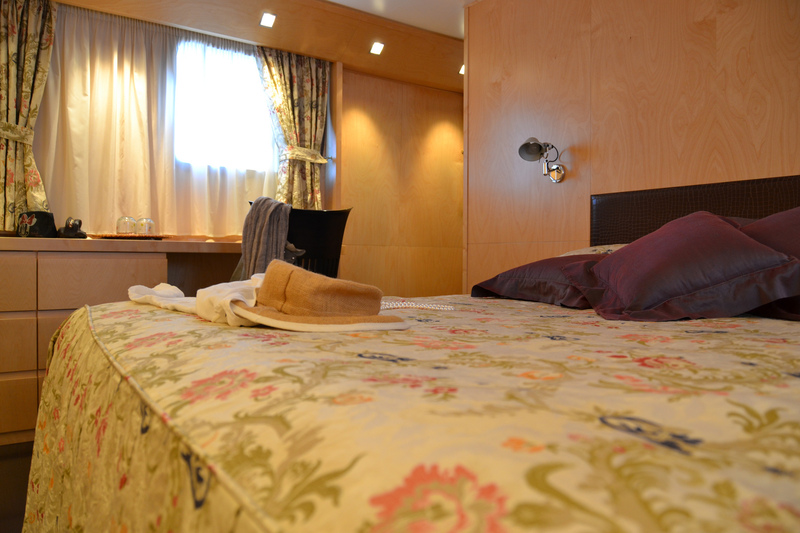 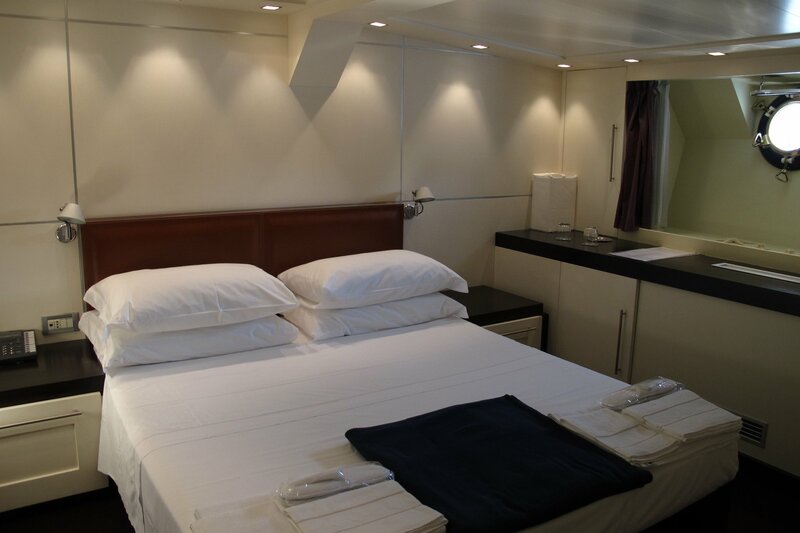 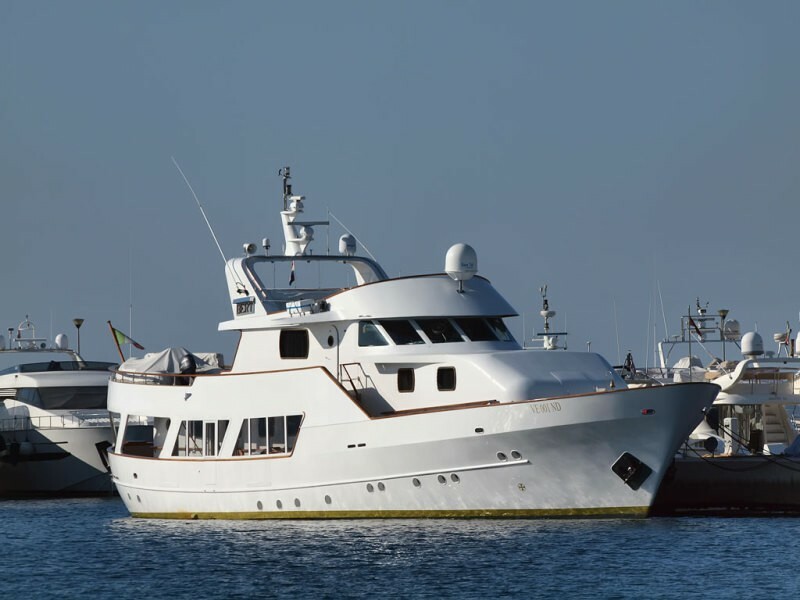 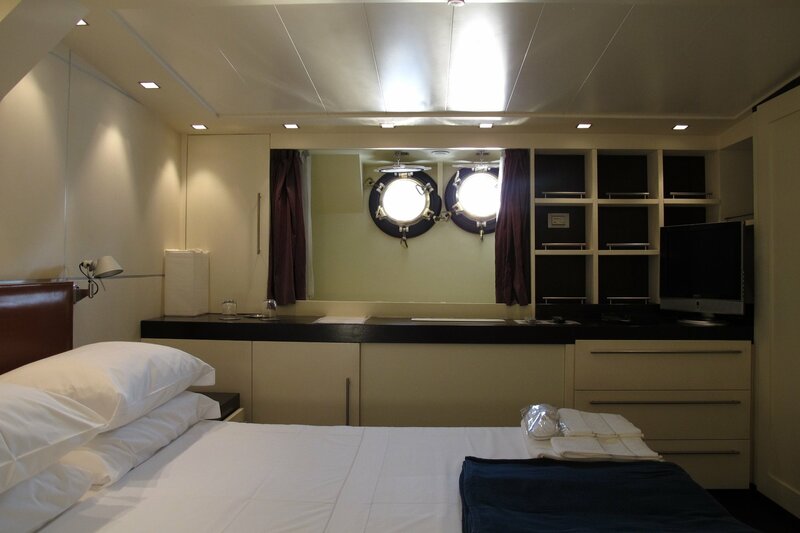 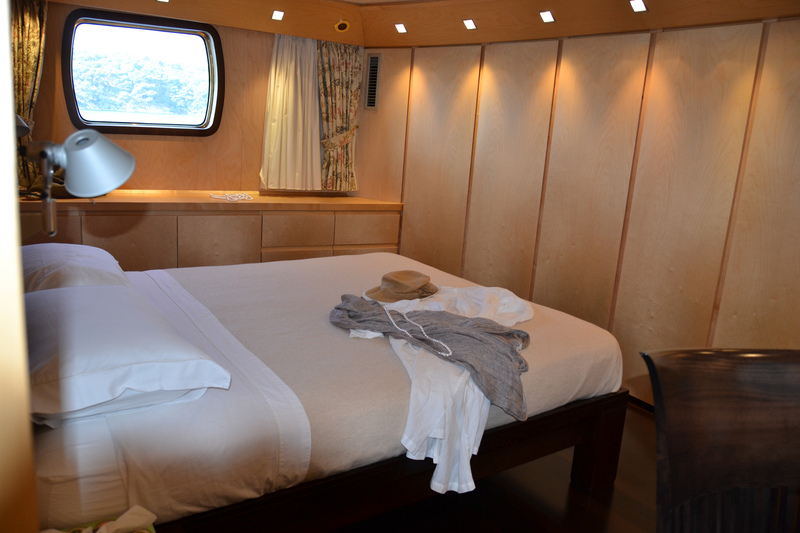 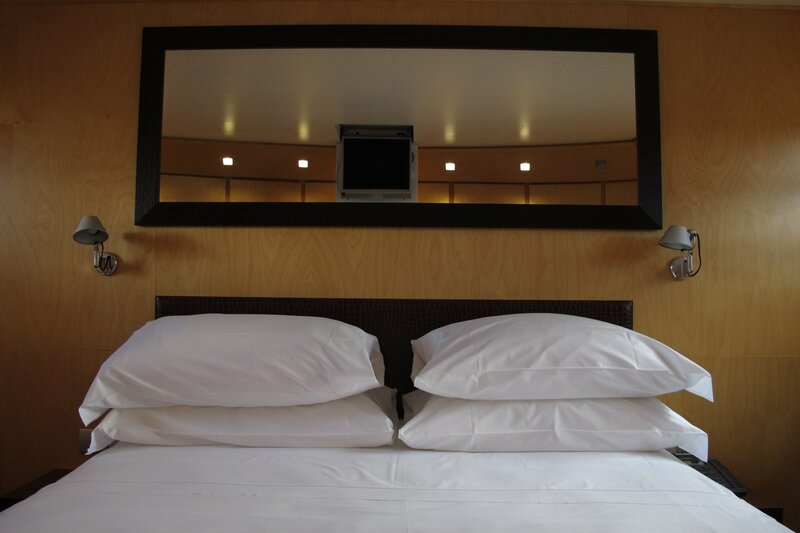 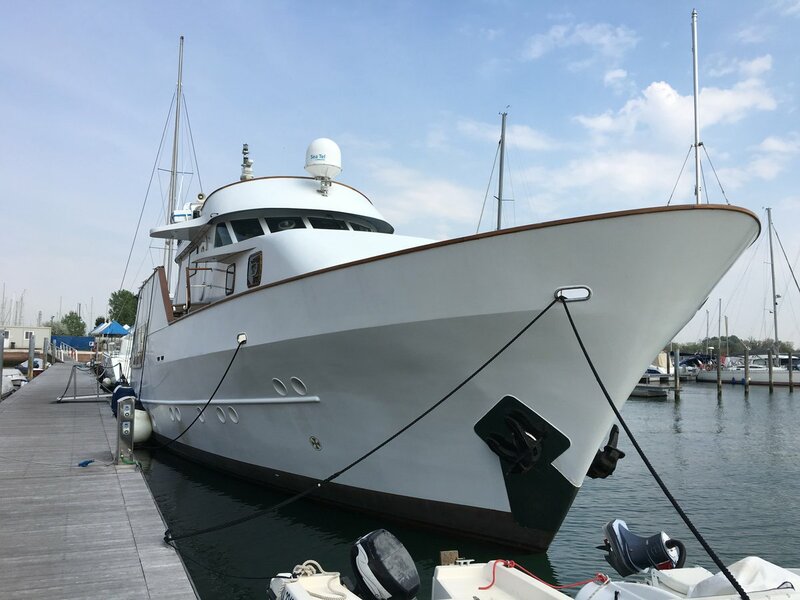 Motor yacht Bert can accommodate 10 guests in 5 staterooms comprising the owners stateroom located on the main deck, 1 double VIP cabin, 2 twin guest cabins and 1 guest cabin with Pullman beds best suited for children. 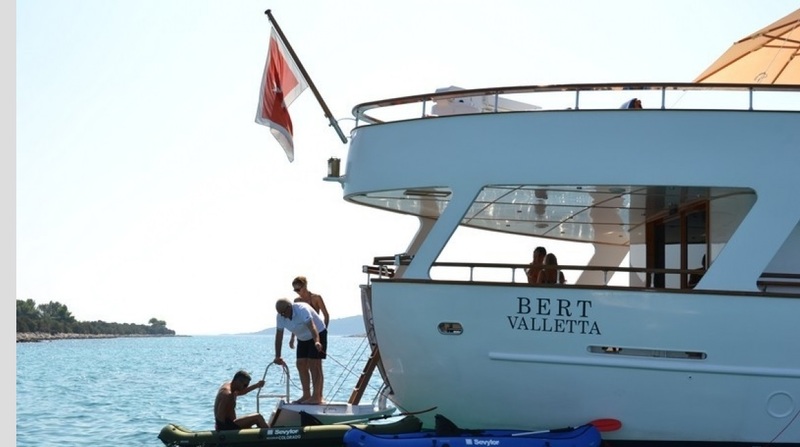 BERT has the following Tenders & Toys: 1 x 5,00m tender Honda with 25 Hp outboard, 1 x 4,50m tender sporty with water jet propulsion, N. 1 water ski, N. 4 snorkeling, The following are available only upon request but included in the charter rate: kayak, wind surf equipment (only for experienced), kite surf equipment (only for experienced).